A big part of the history of the Heuer Skipper is corresponding with the early Heuer Carrera Yachting dials are the tide watches. 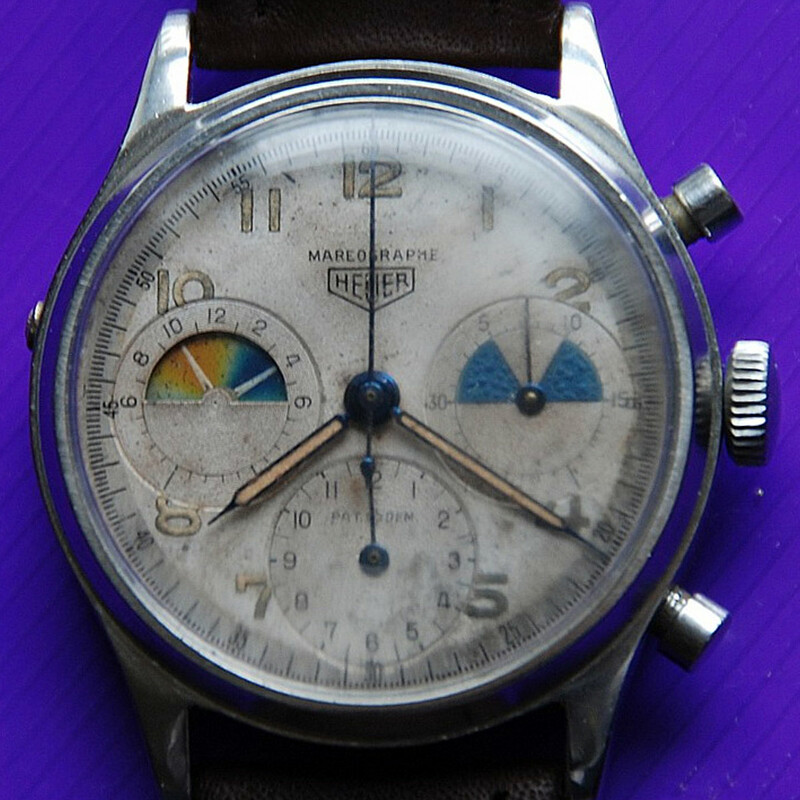 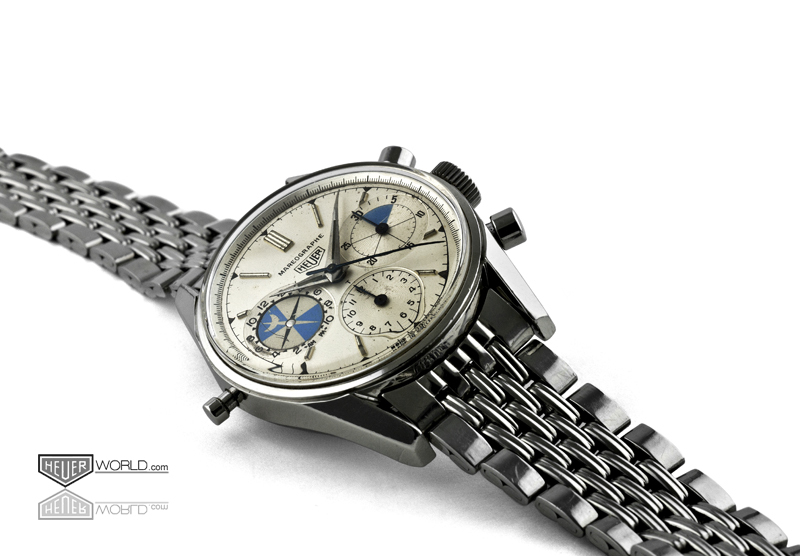 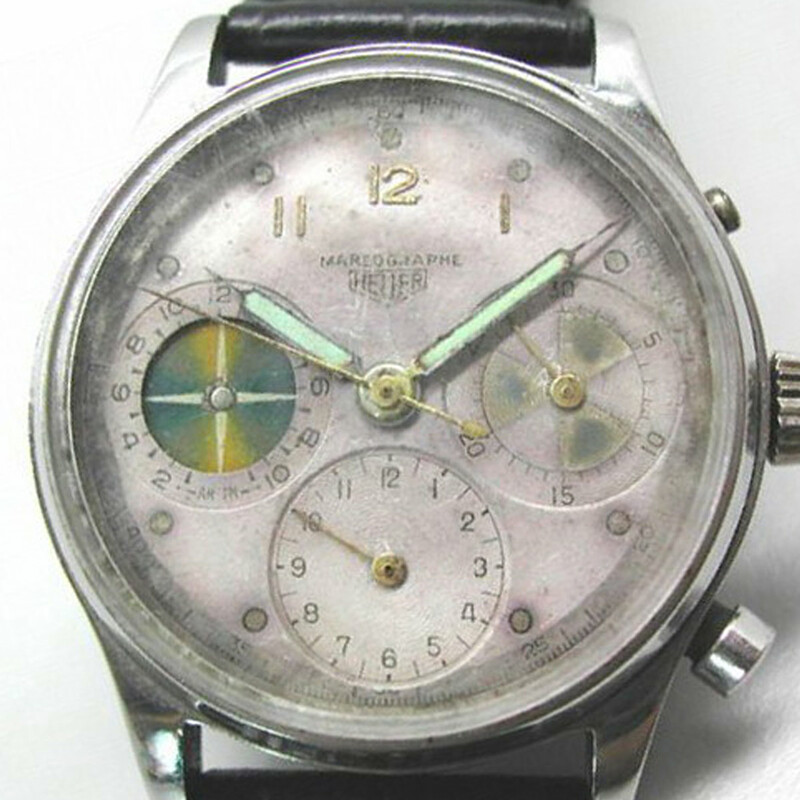 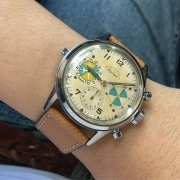 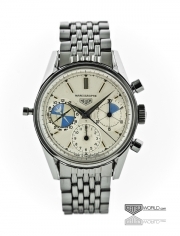 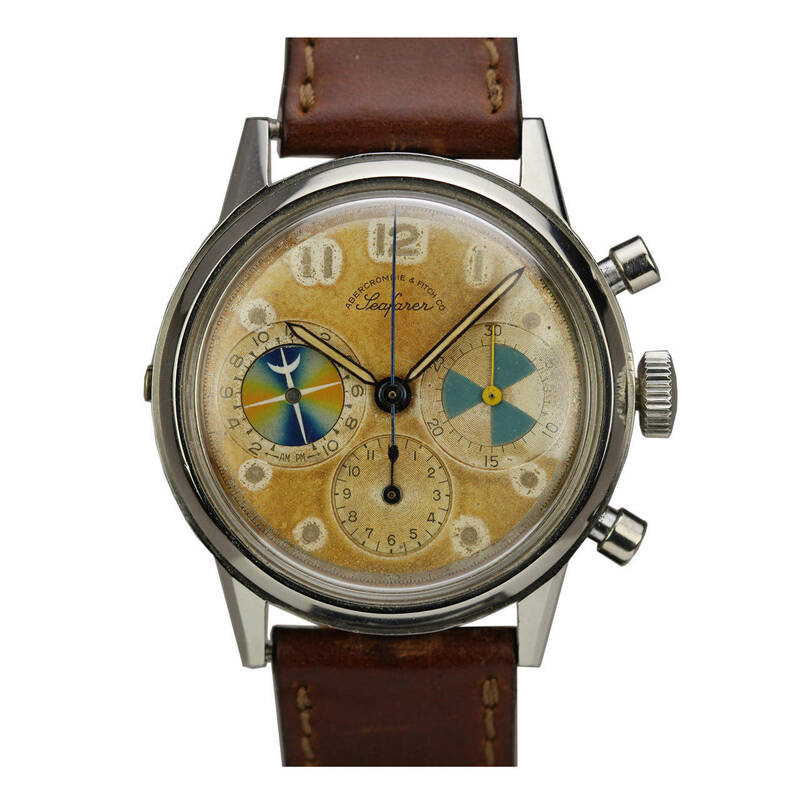 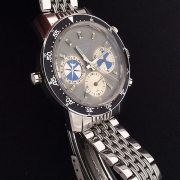 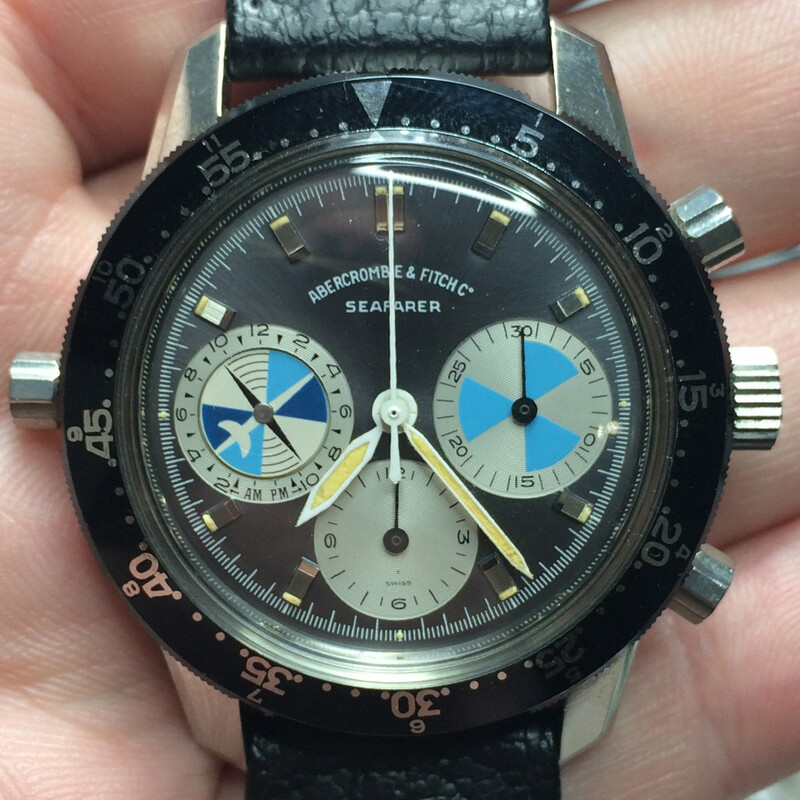 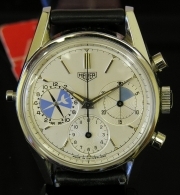 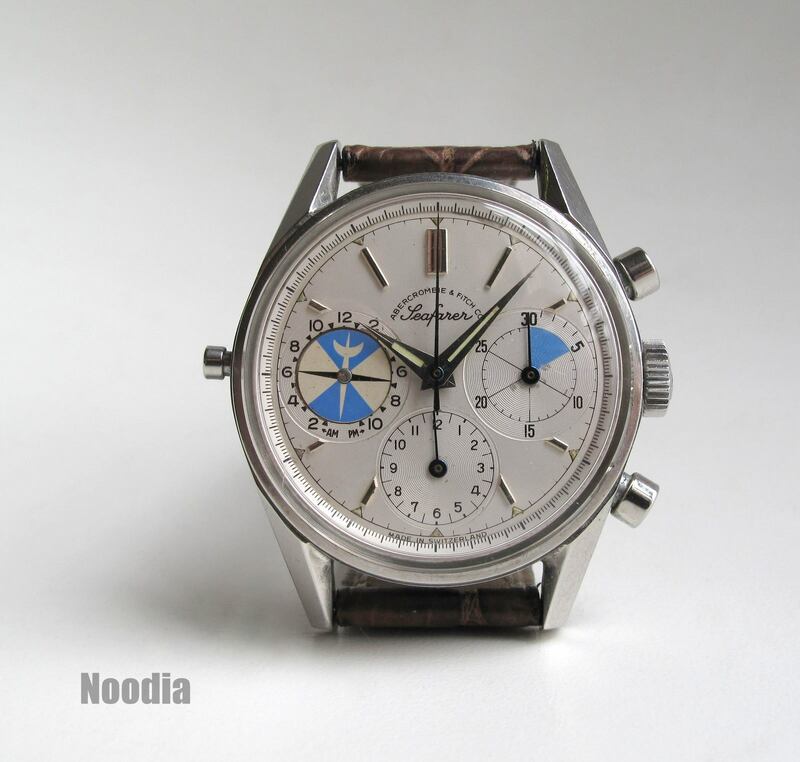 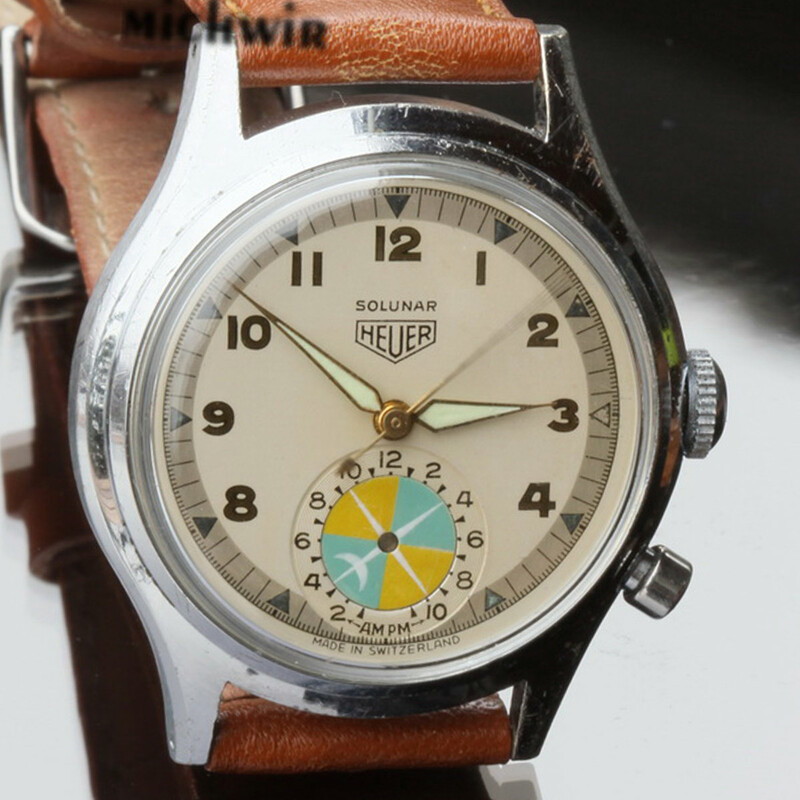 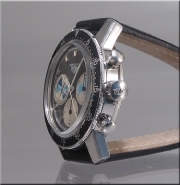 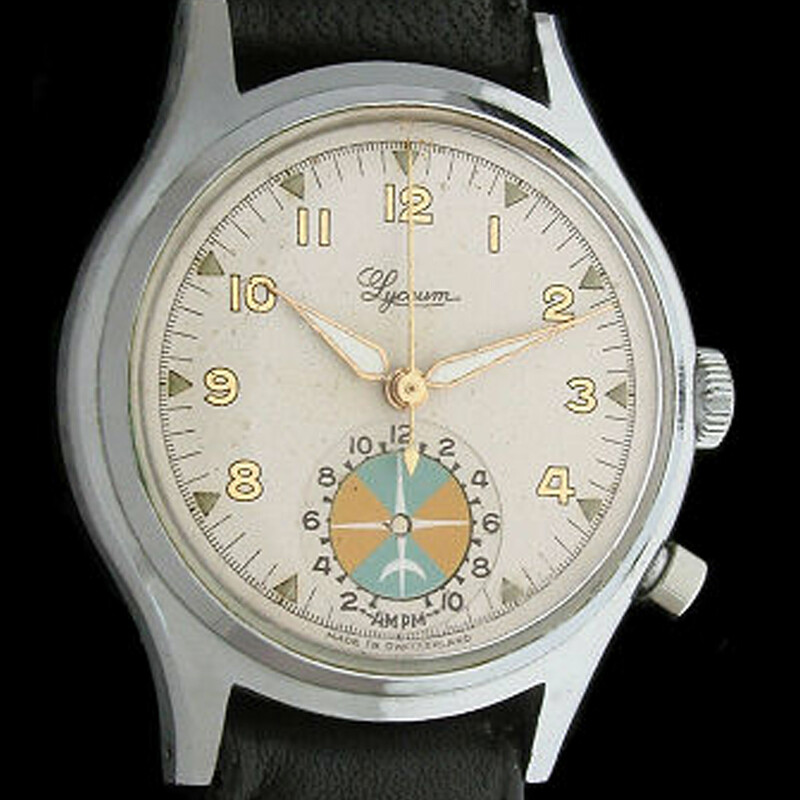 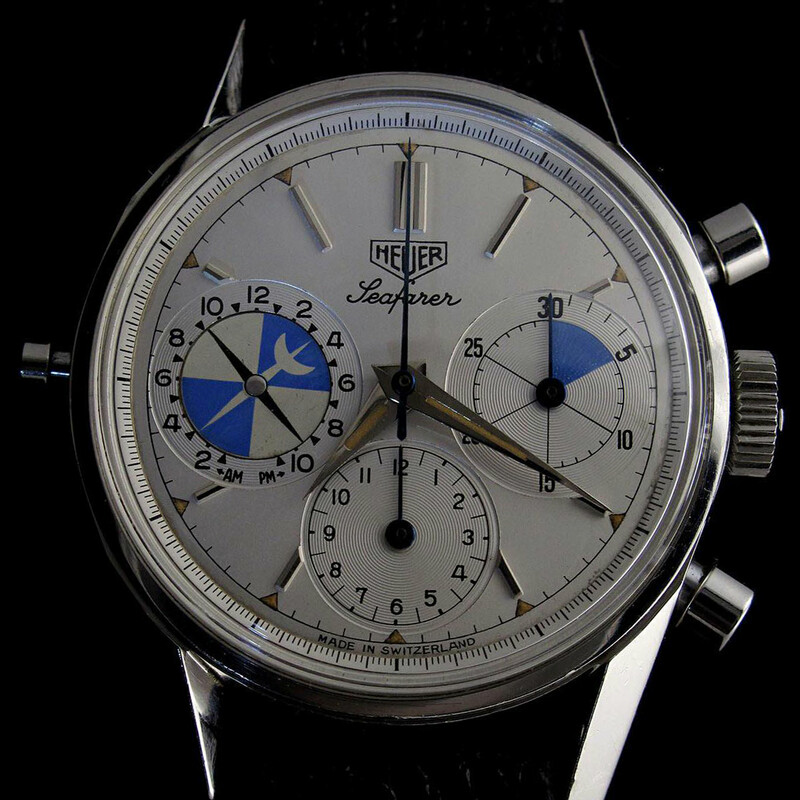 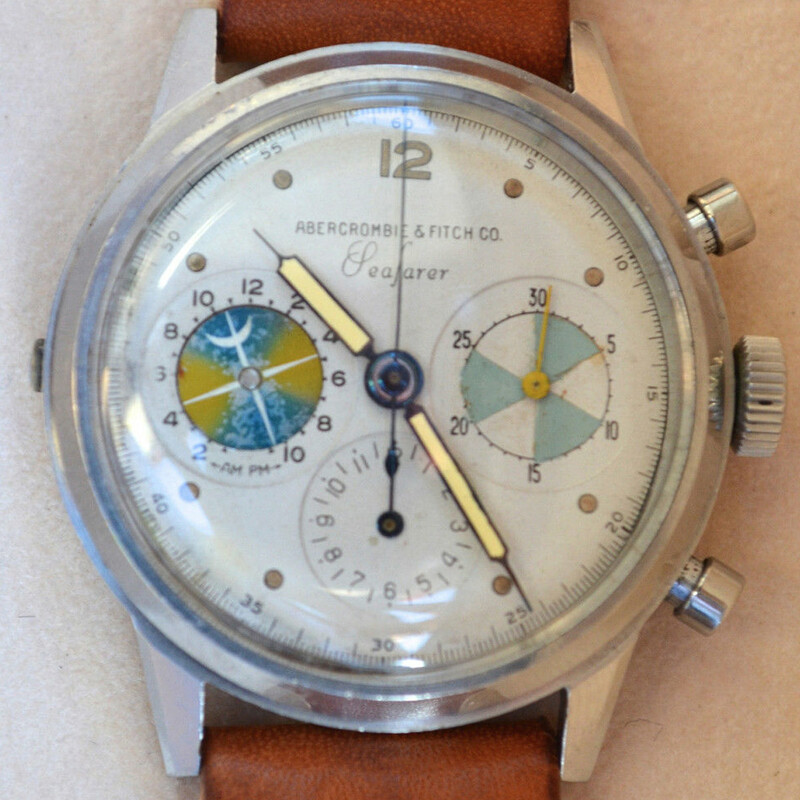 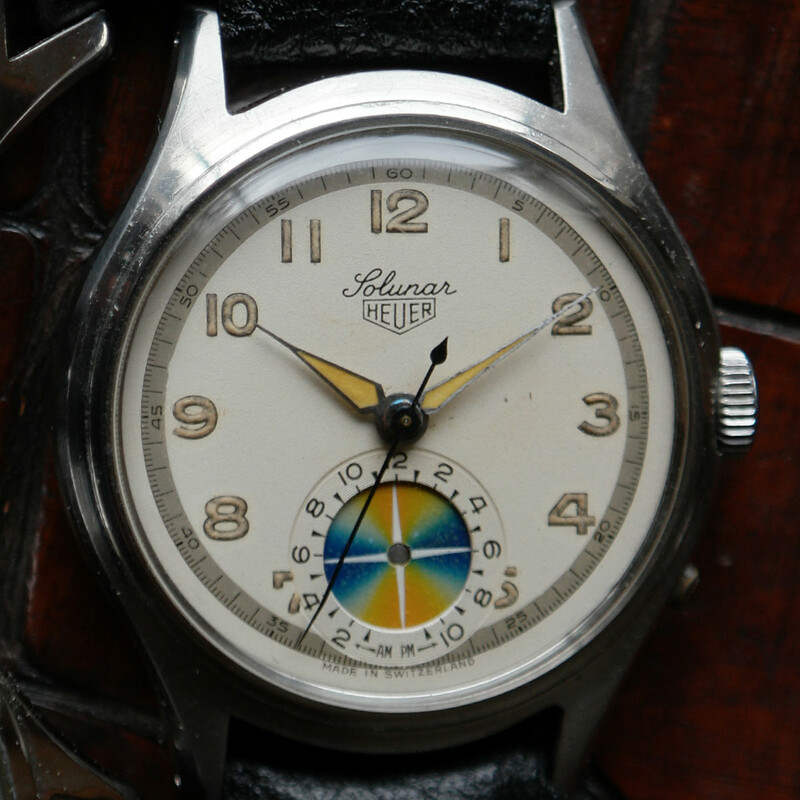 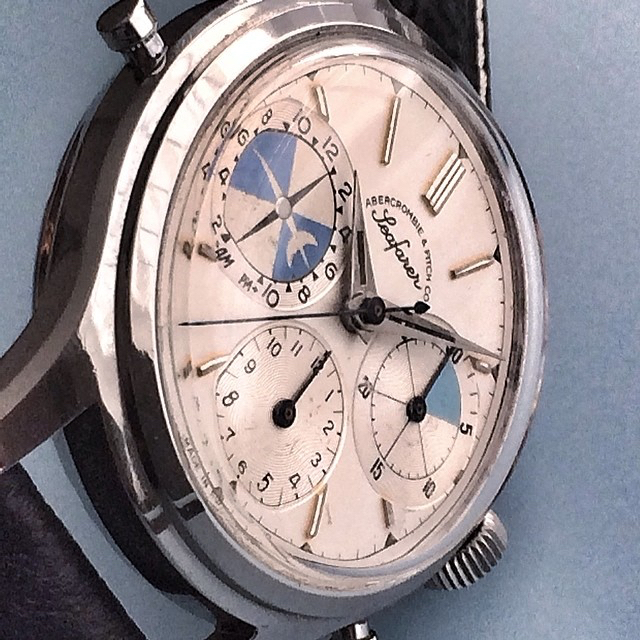 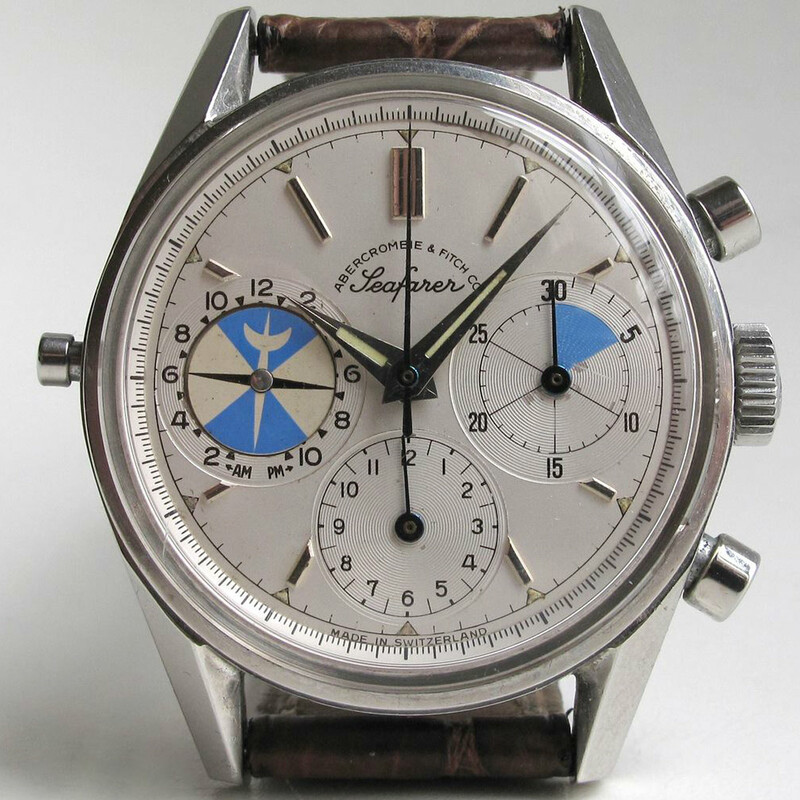 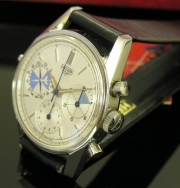 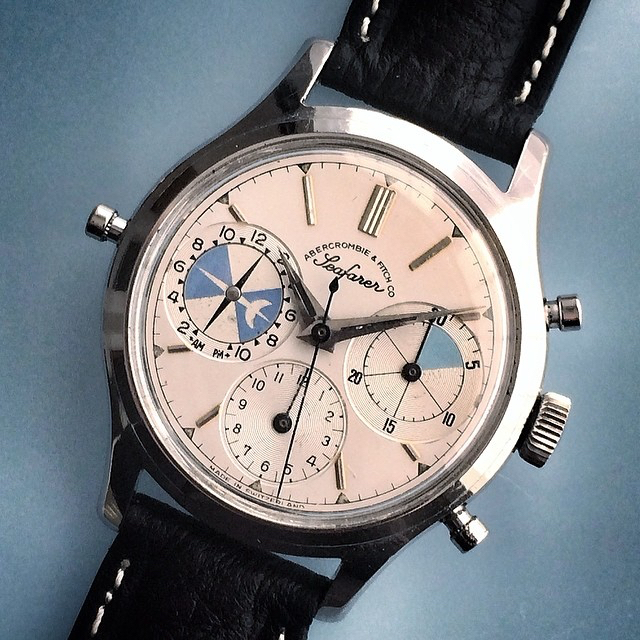 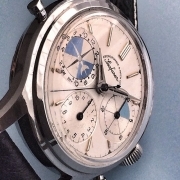 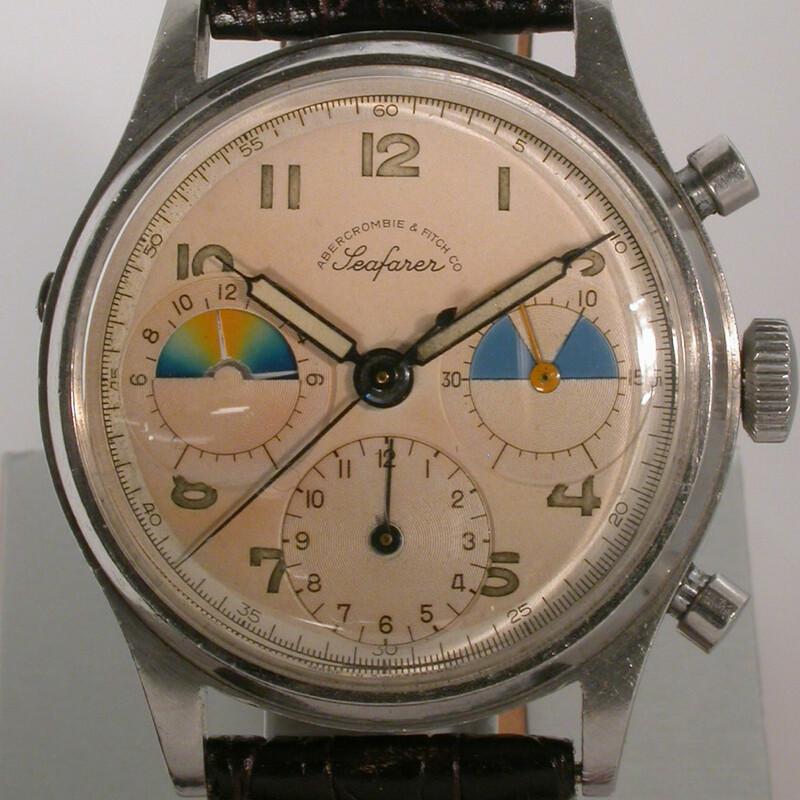 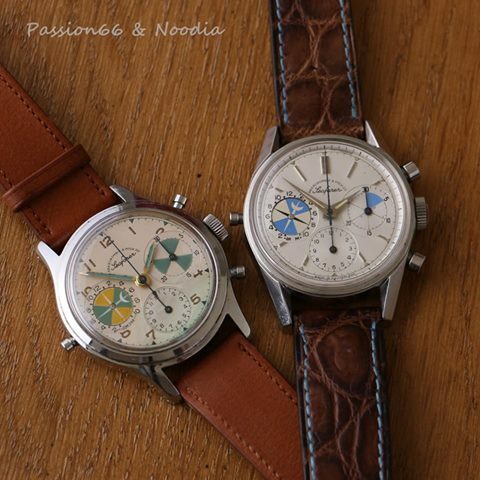 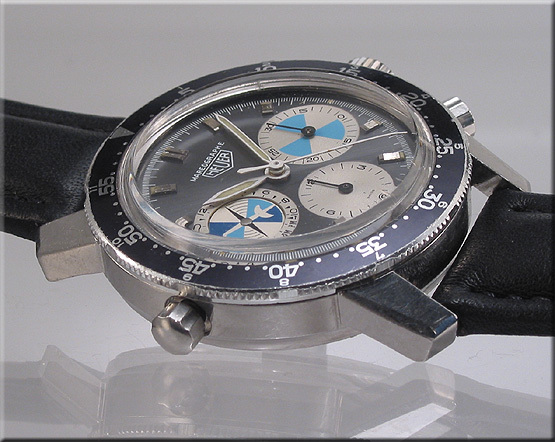 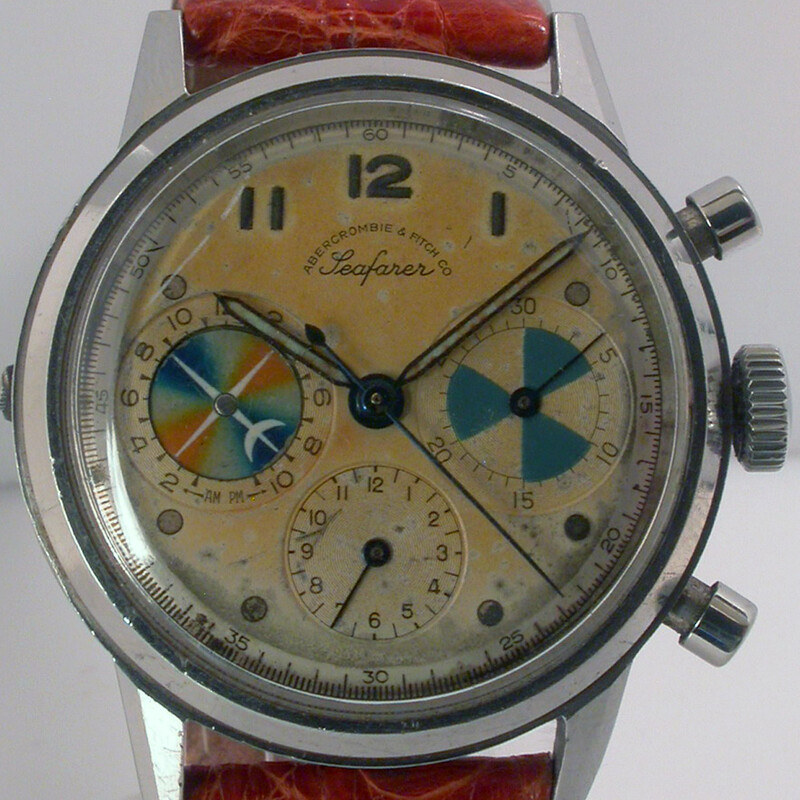 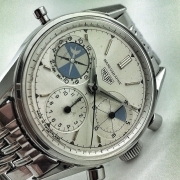 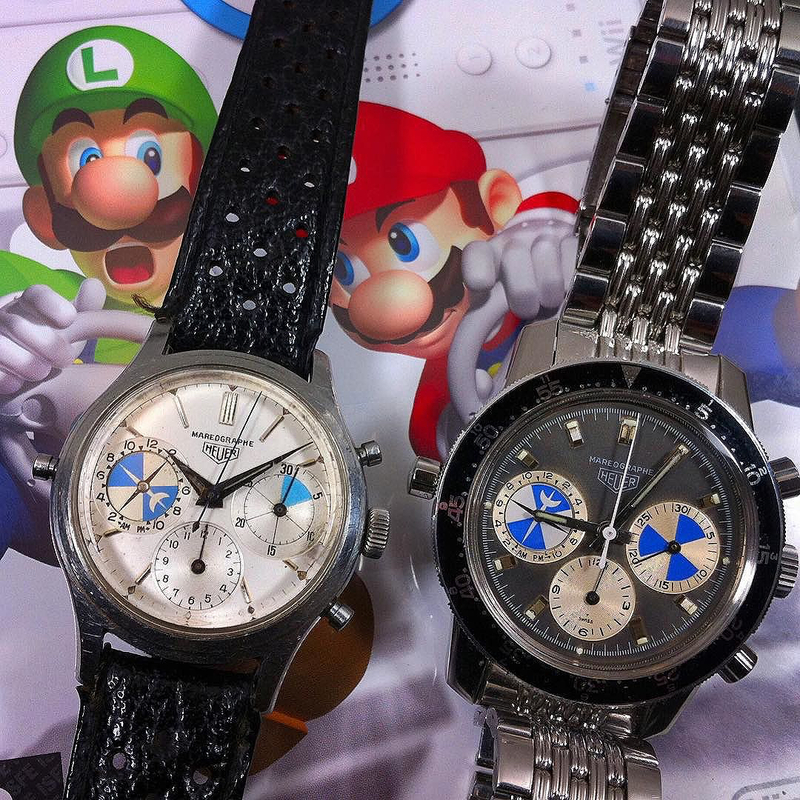 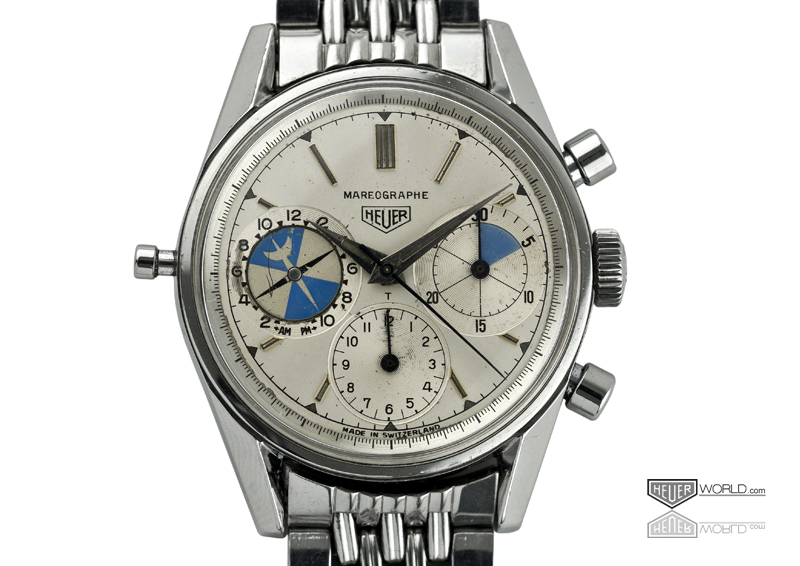 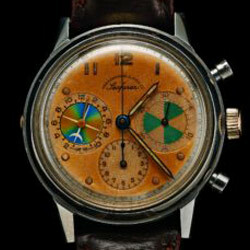 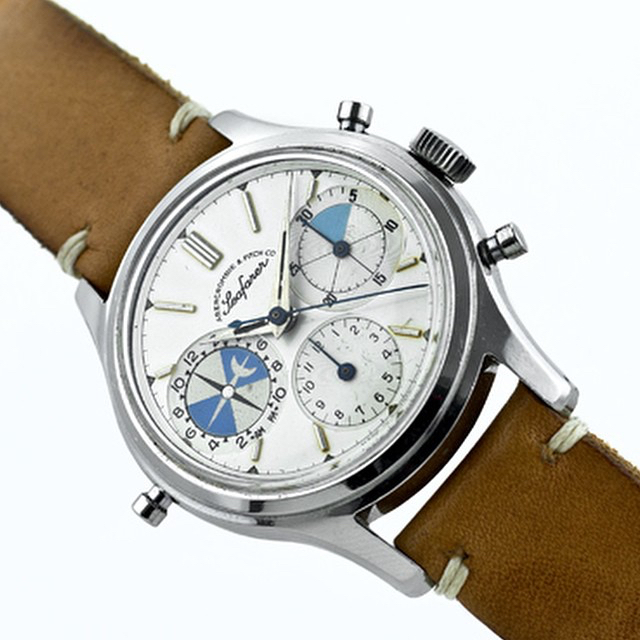 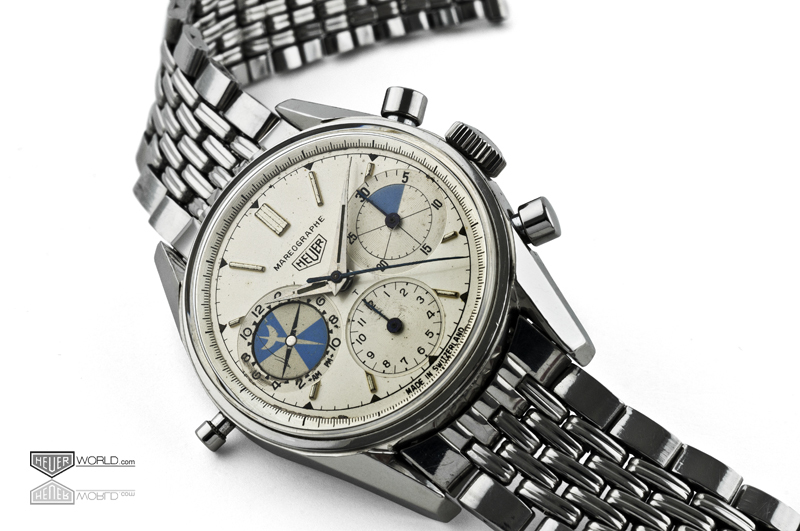 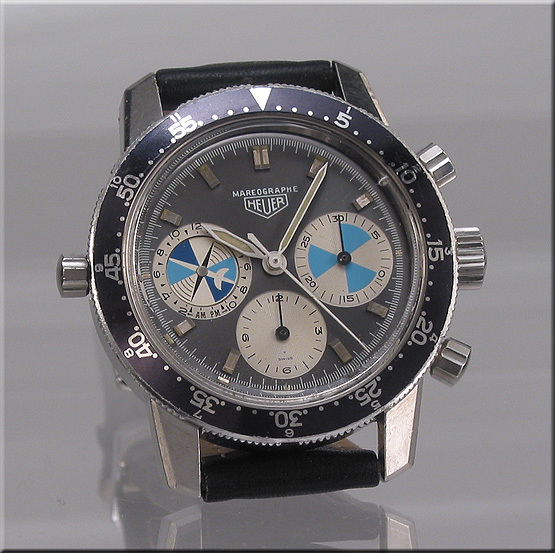 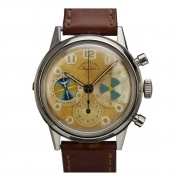 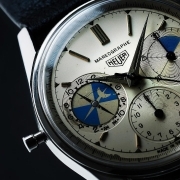 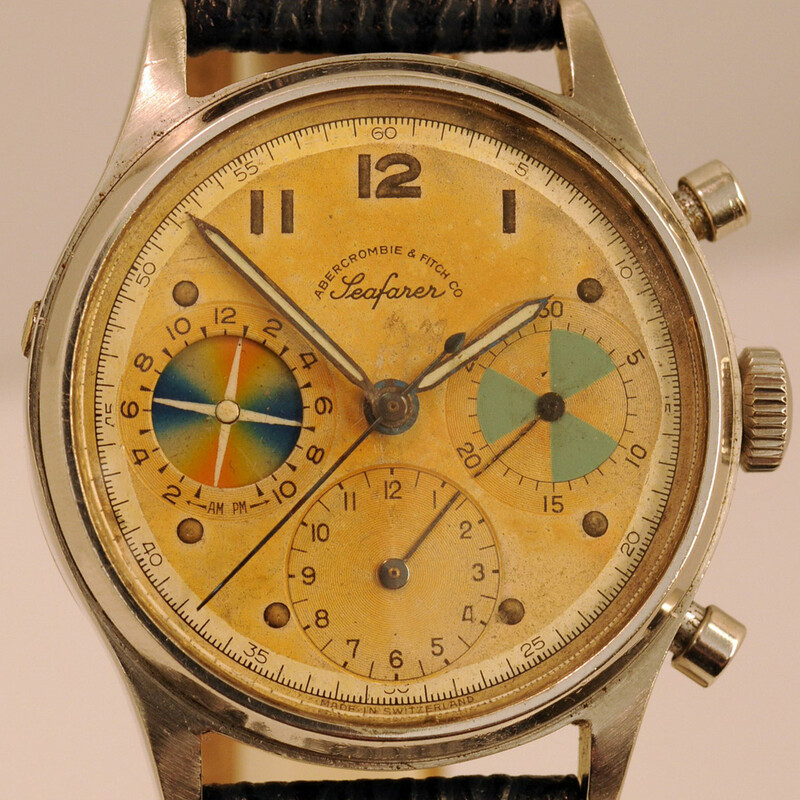 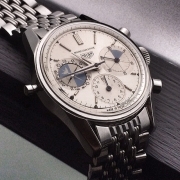 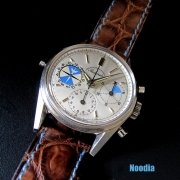 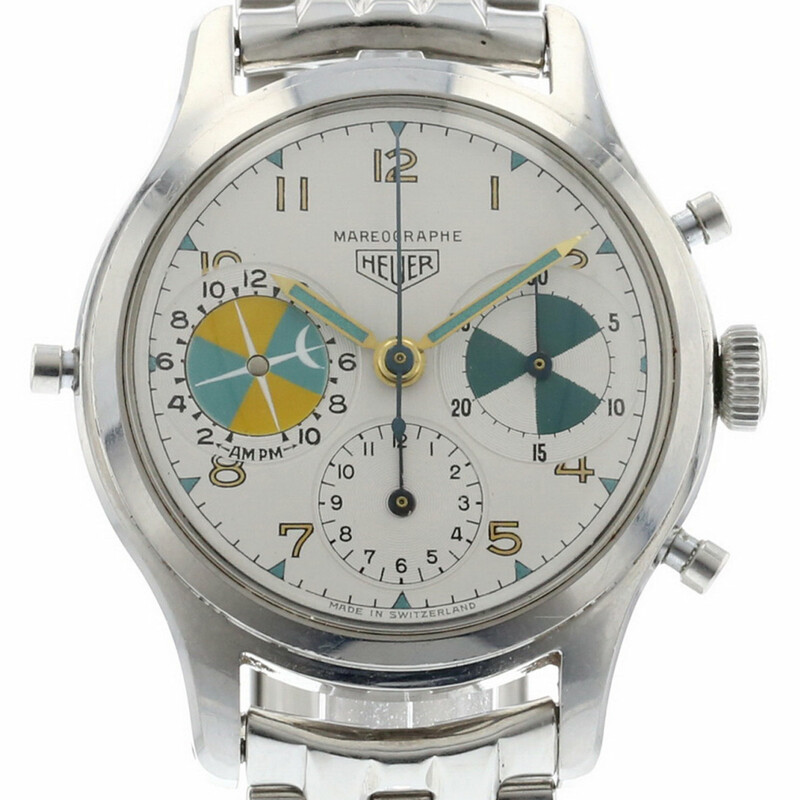 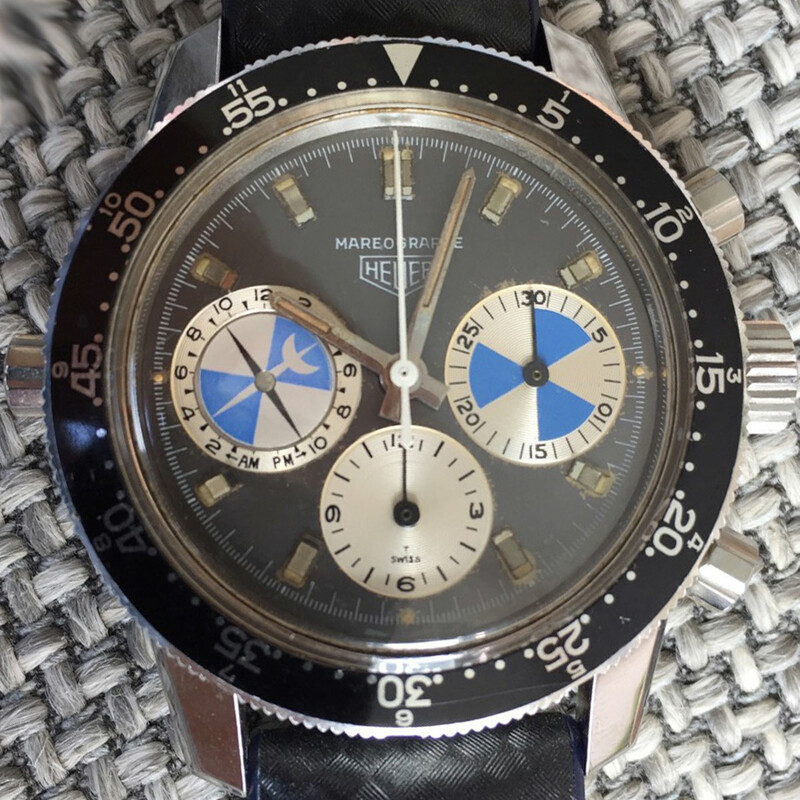 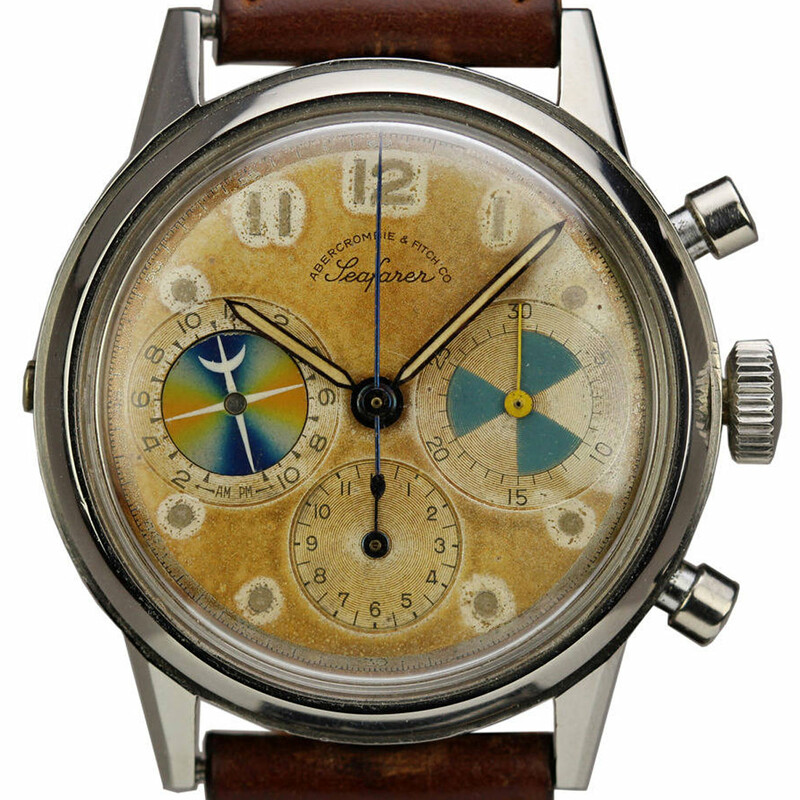 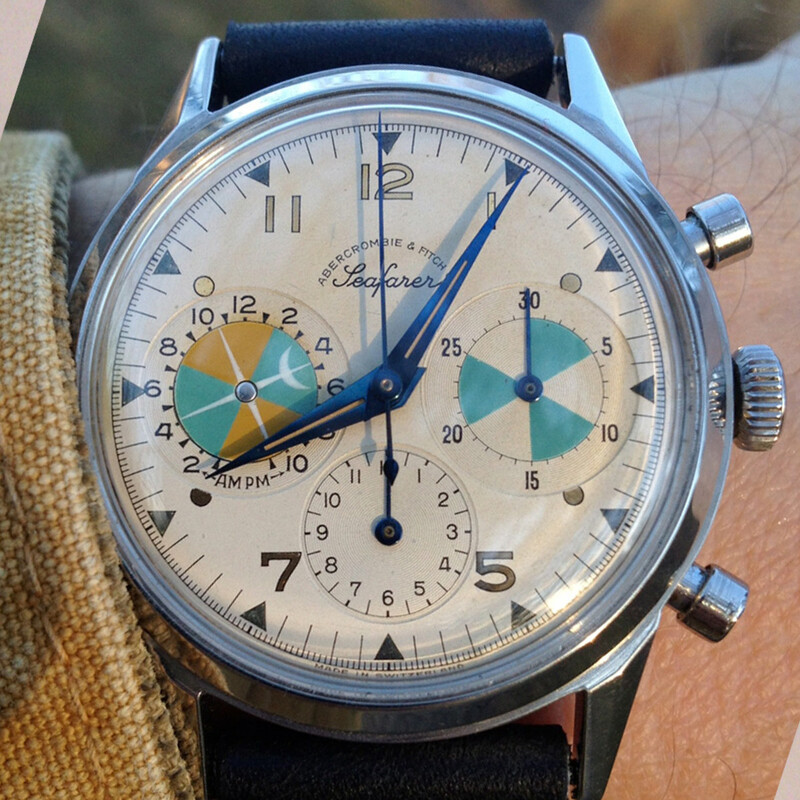 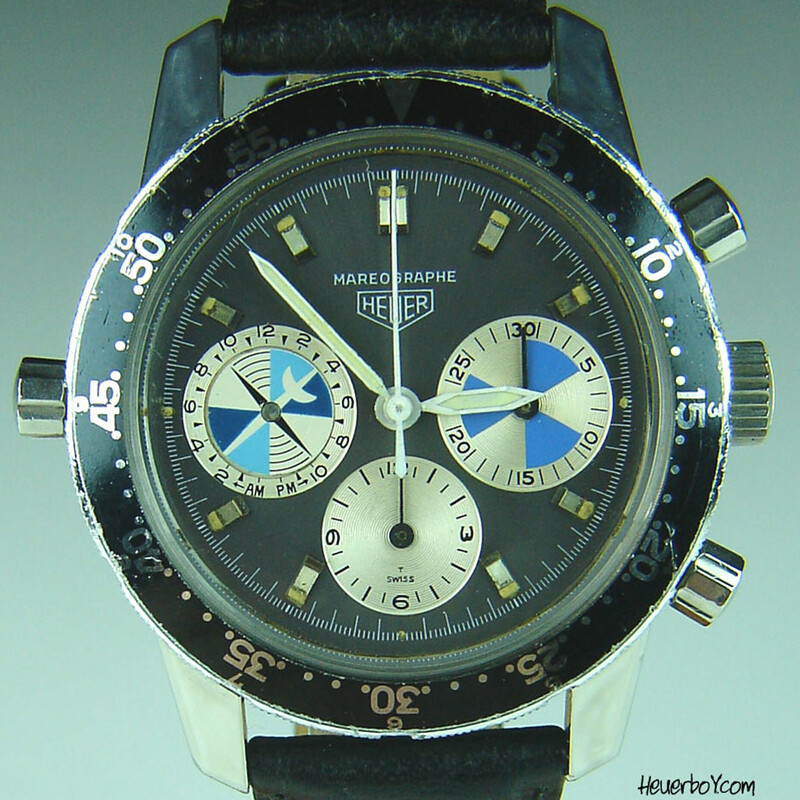 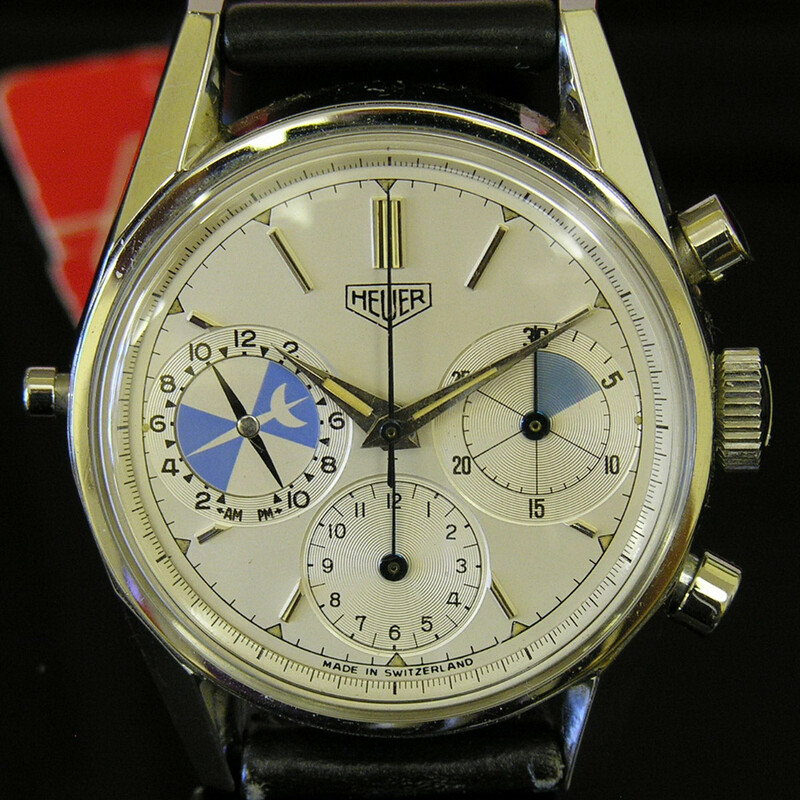 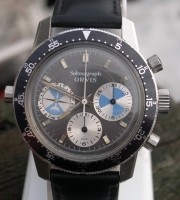 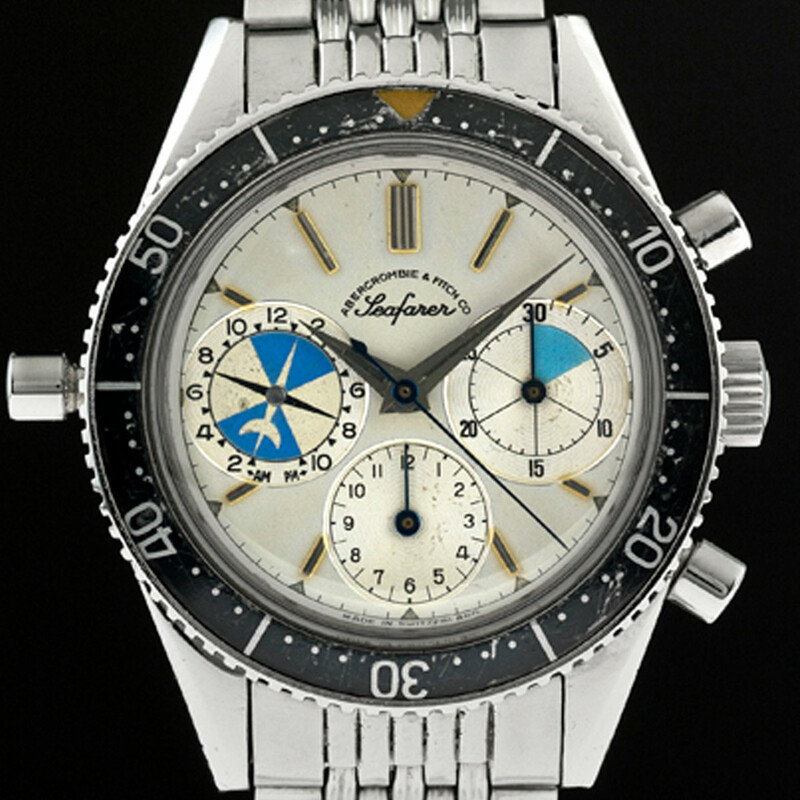 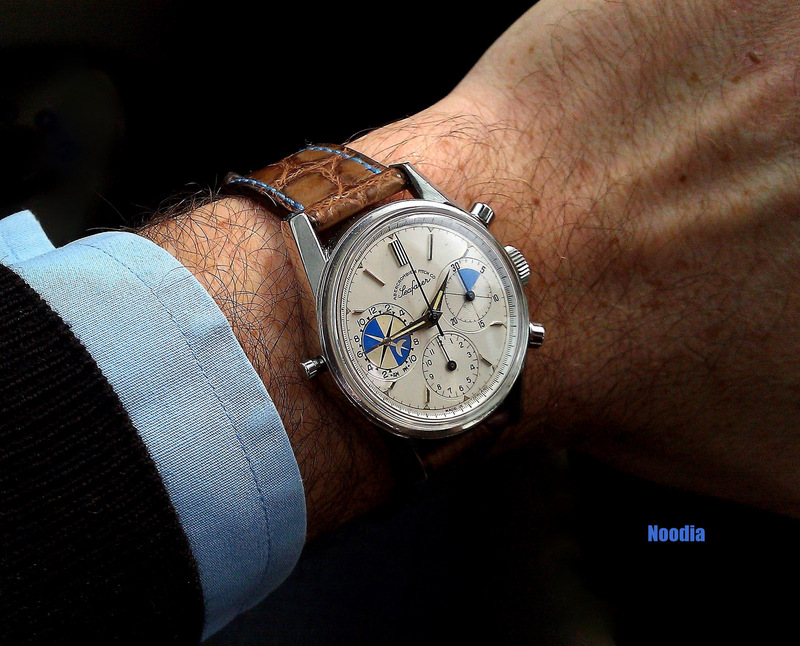 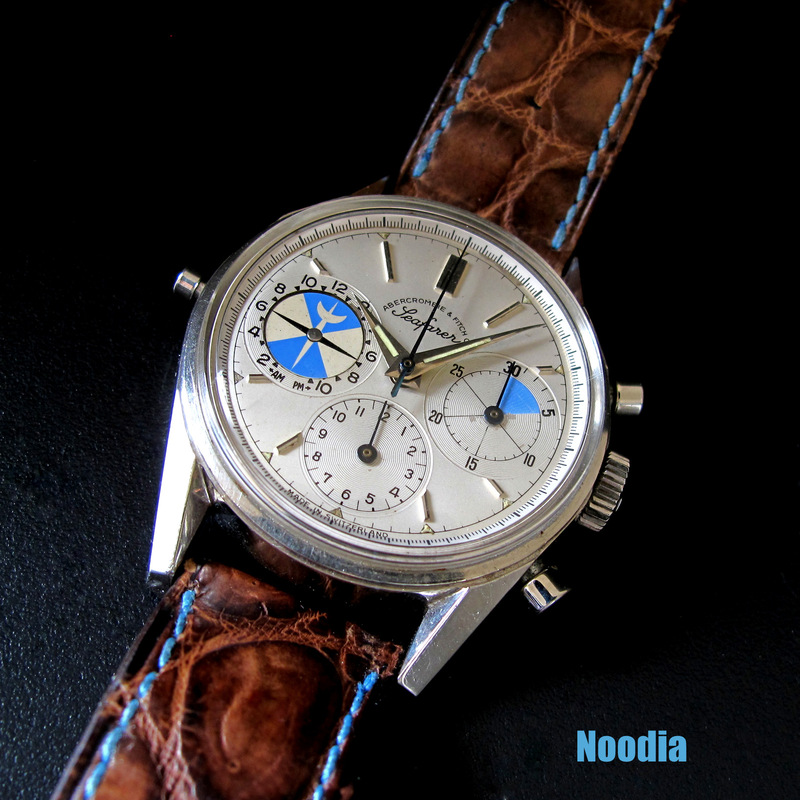 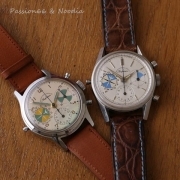 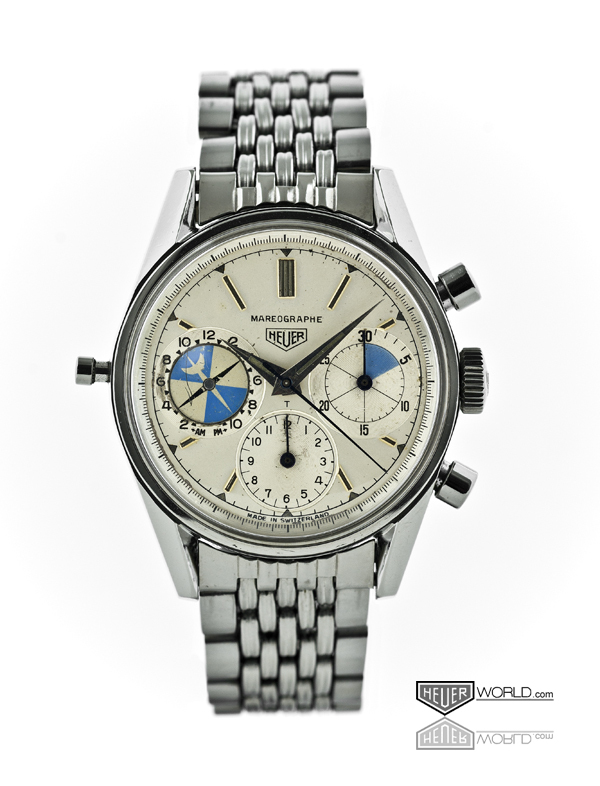 Starting with the early 1950s Heuer Solunar was it the Heuer Mareographe as know as Abercrombie & Fitch Seafarer that today count as the high end of nice watches made by Heuer. 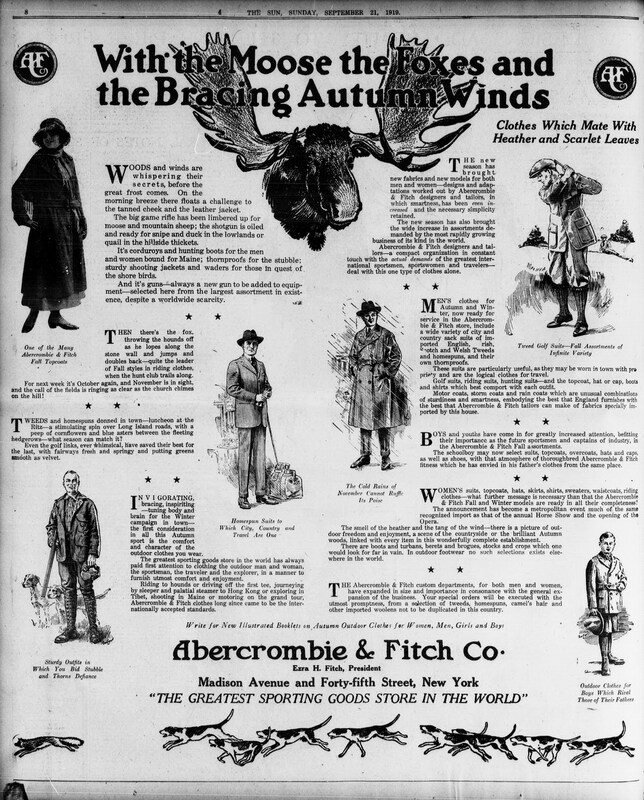 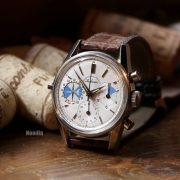 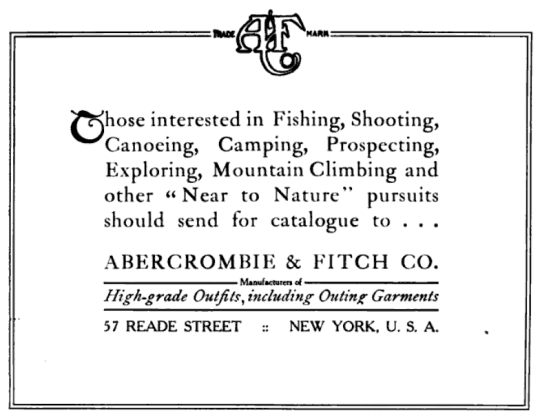 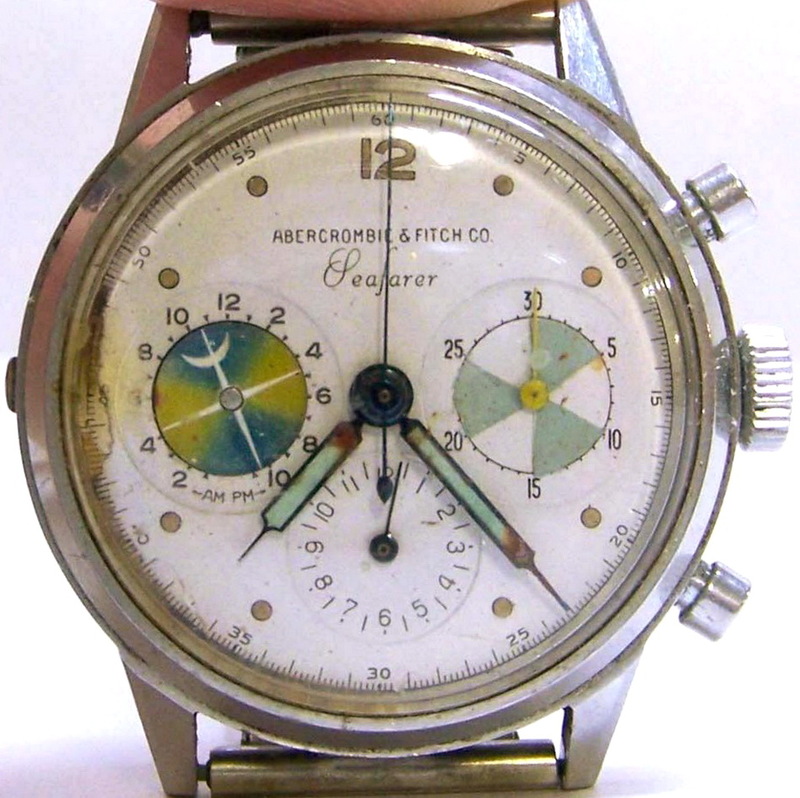 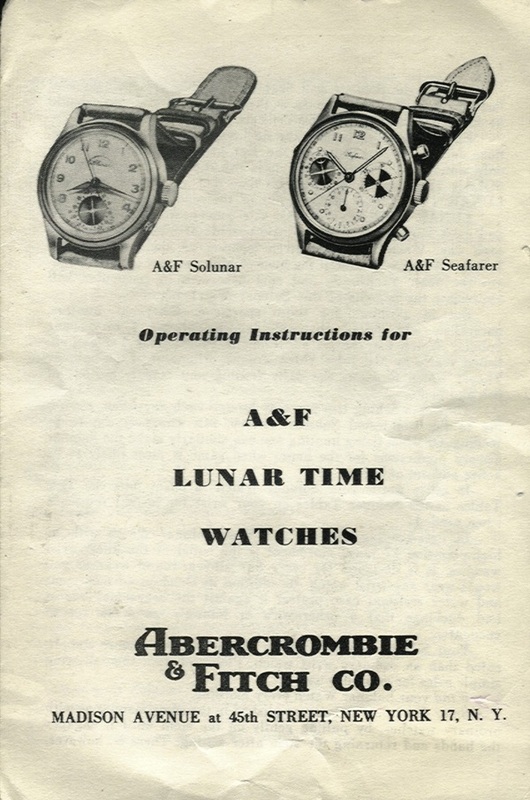 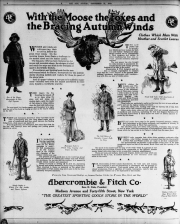 Abercrombie & Fitch was the distributor in the U.S.A. and they took not the french name Mareographe for the market, the watch was named Seafarer. 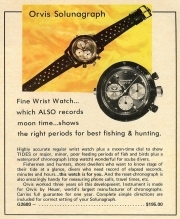 The latest edition was launched too for the brand Orvis as Orvis Solunagraph. 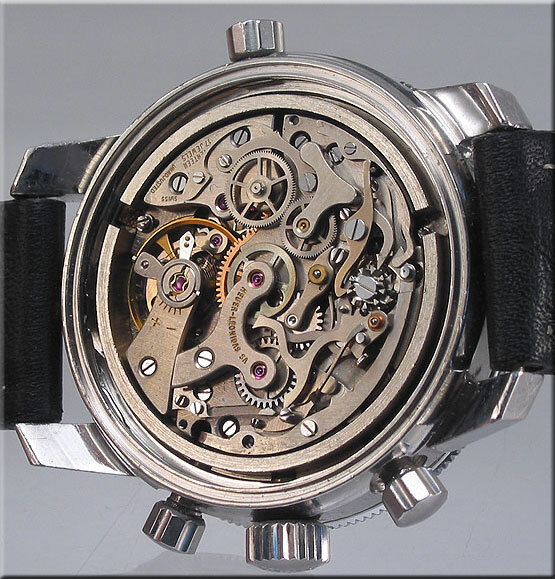 Enjoy this little overview with the known examples and lets try to work out the different types of dials etc. 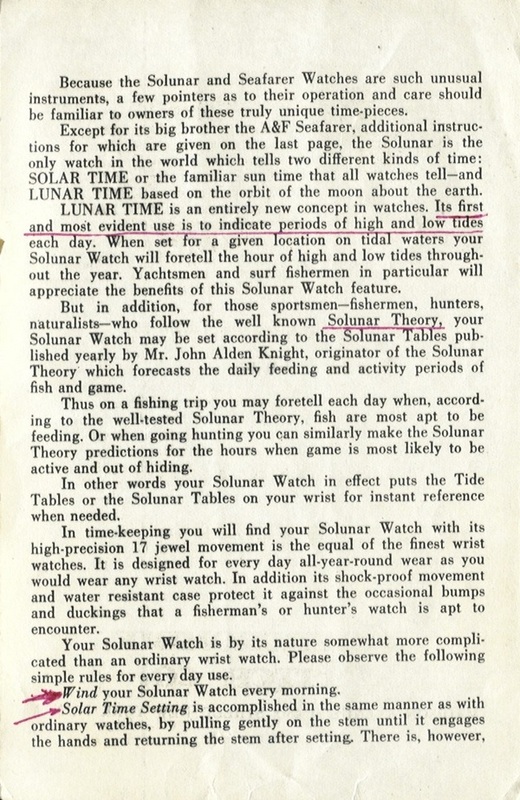 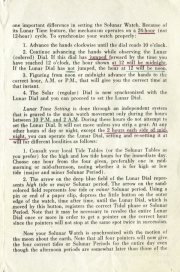 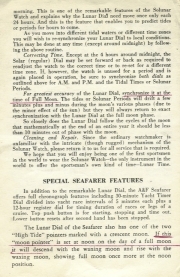 The first tide watches named Solunar from 1949 got 1 subdial over 6 o´clock to show the Solar and Lunar time to read the tide on the place you be. 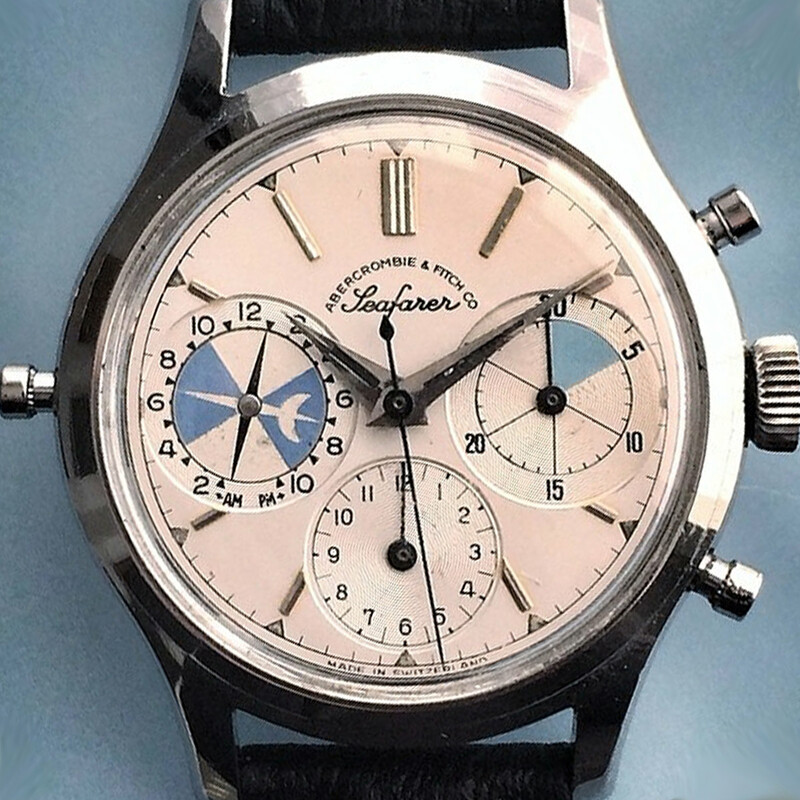 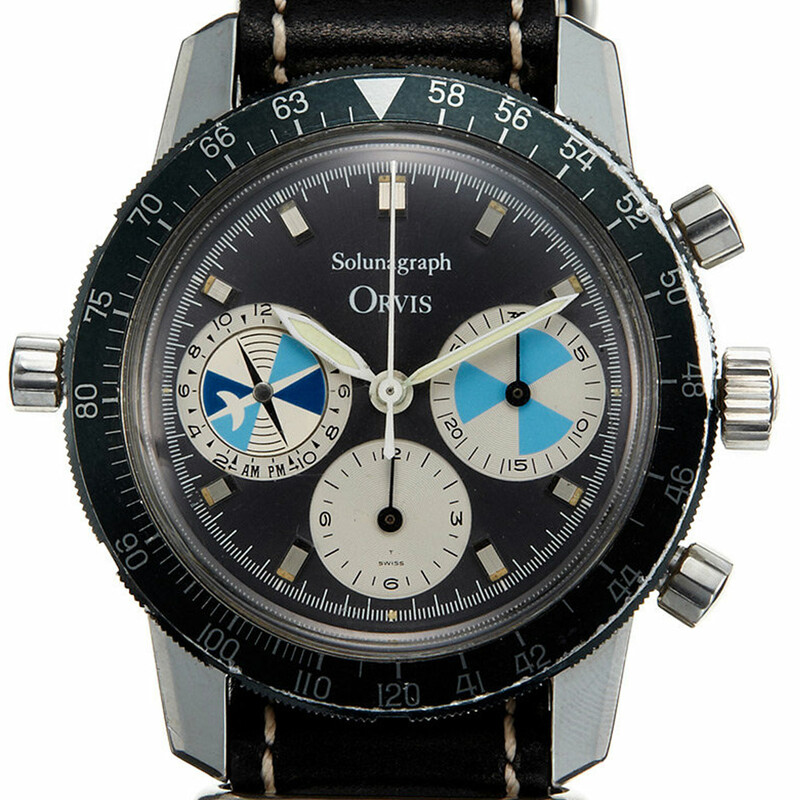 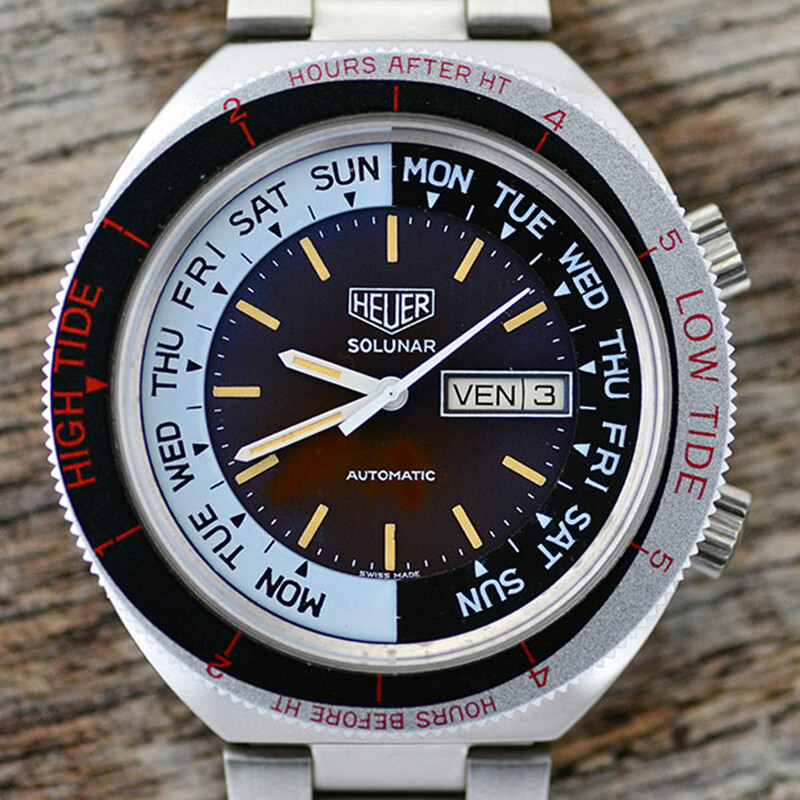 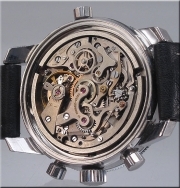 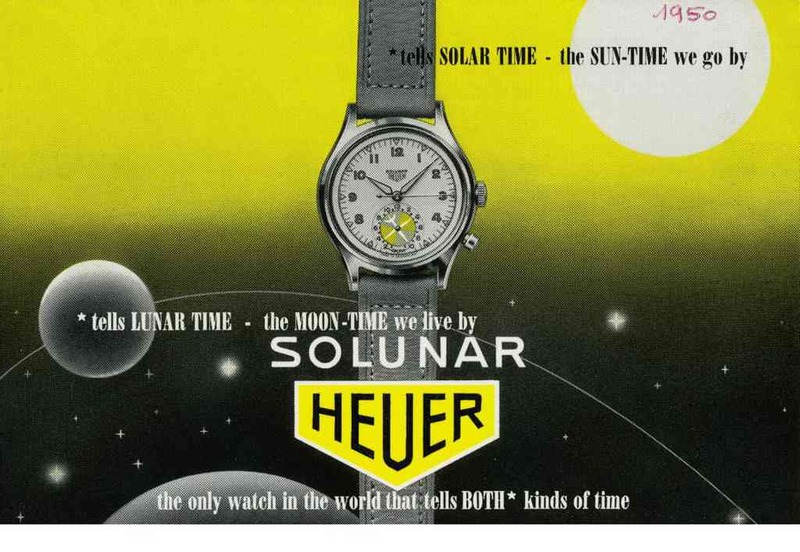 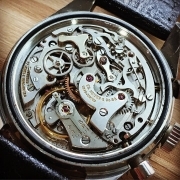 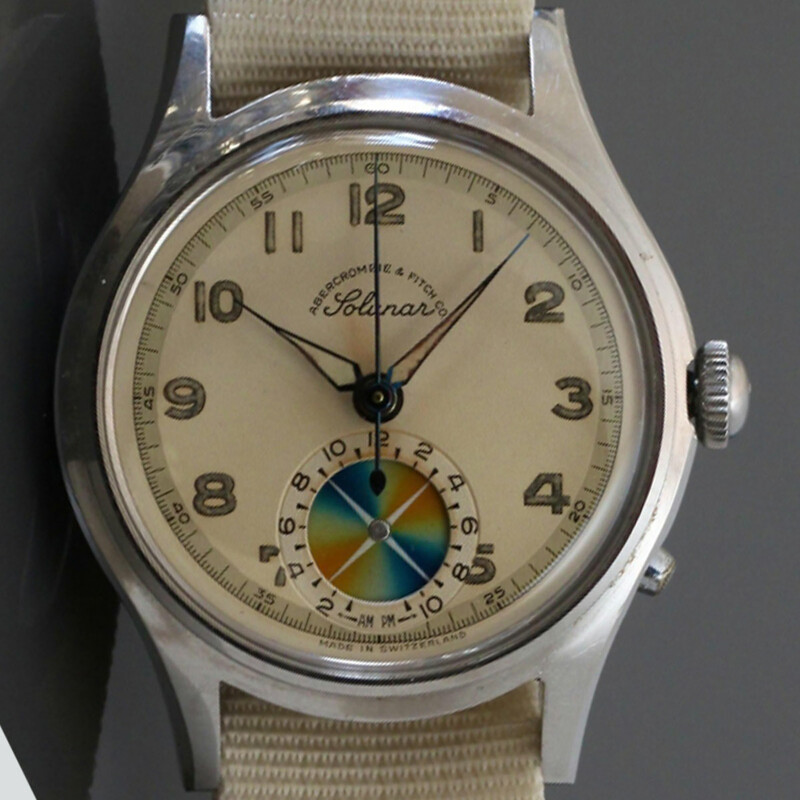 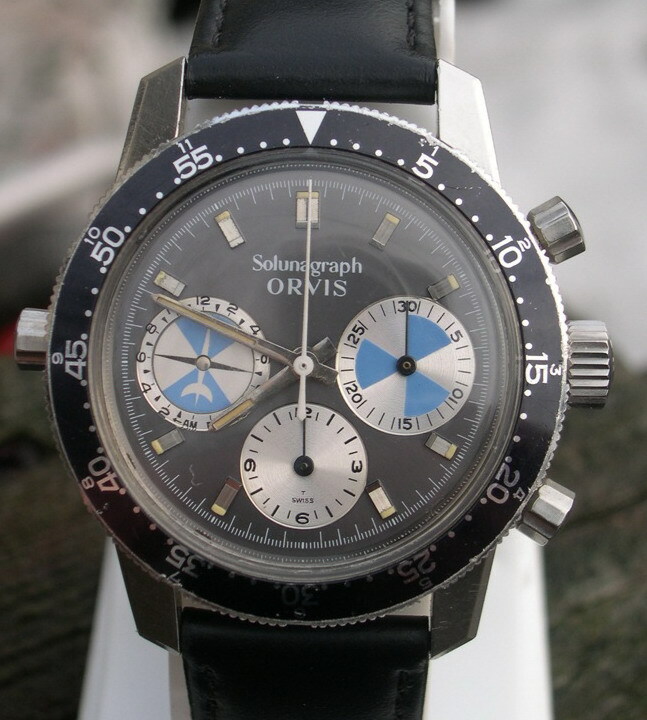 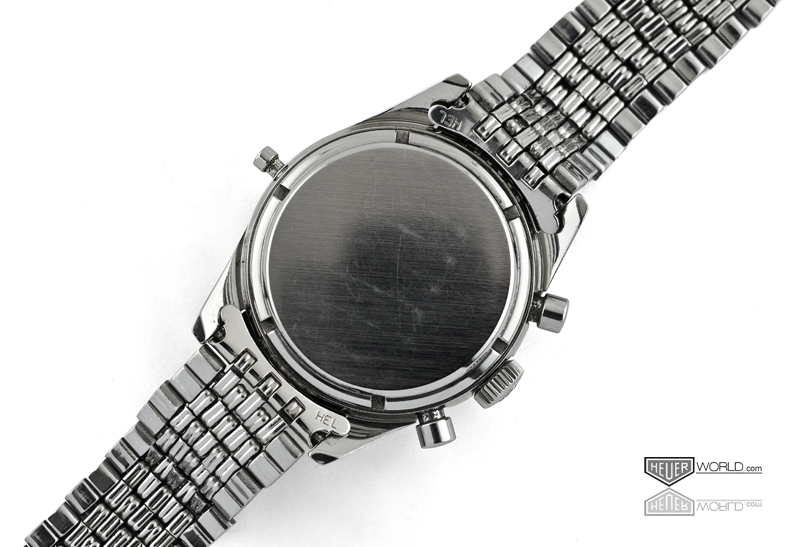 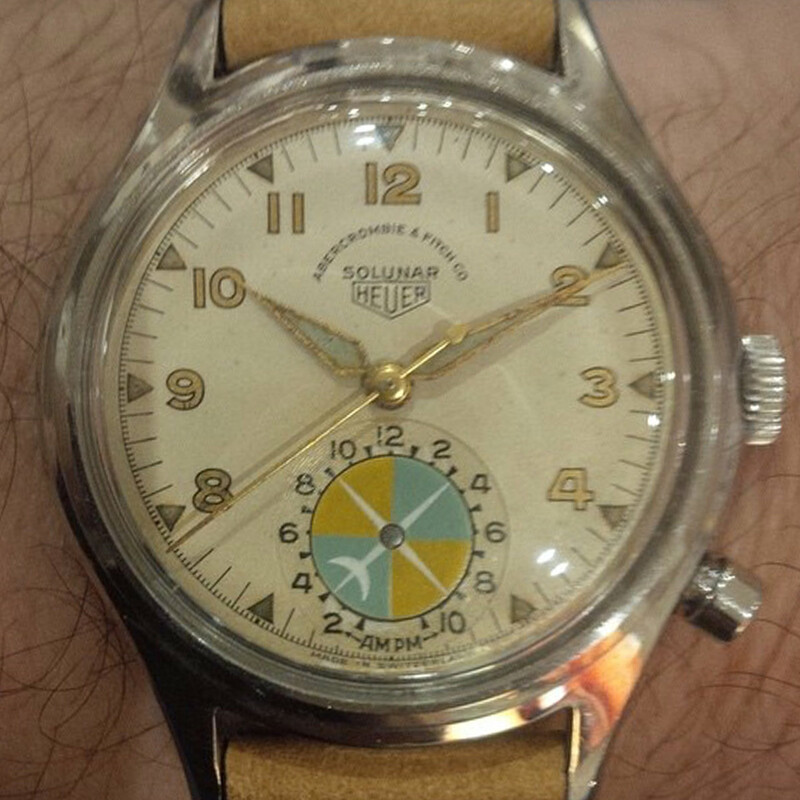 The late edition of the Solunar with automatic movement got a special bezel to read the tide and was introduced in 1976. 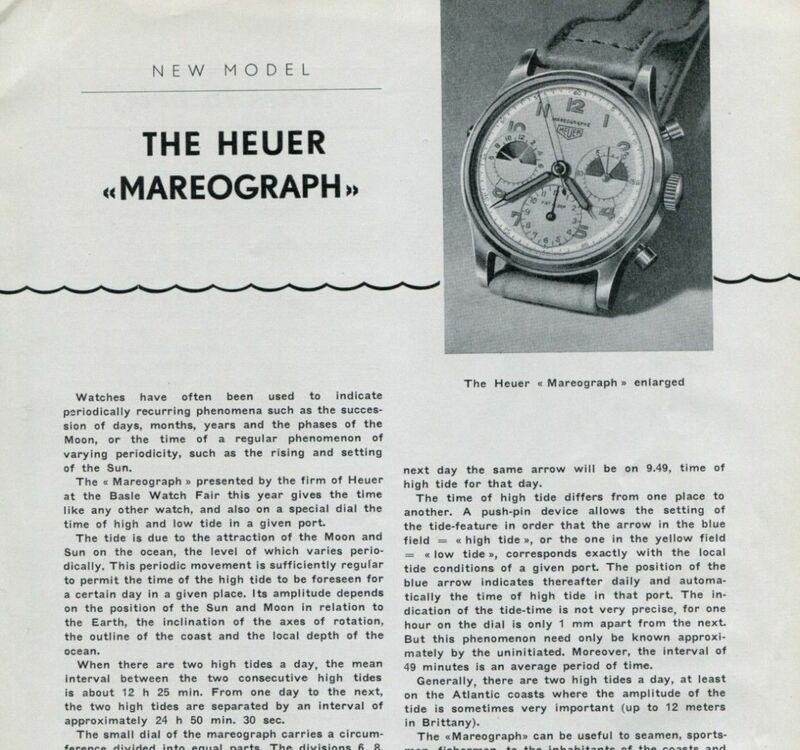 Mr. Jack Heuer started very young with a fine feeling of taste and a lot of creativity to make some of the nicest watches ever made. 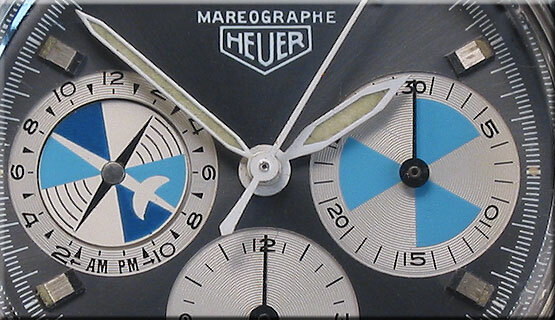 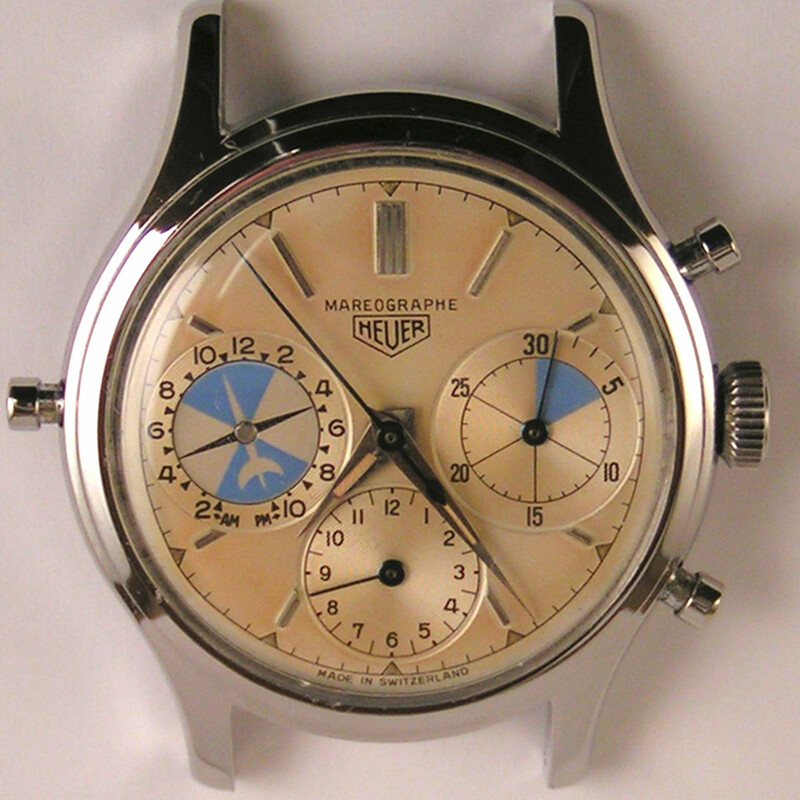 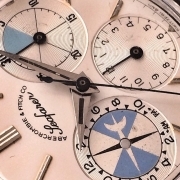 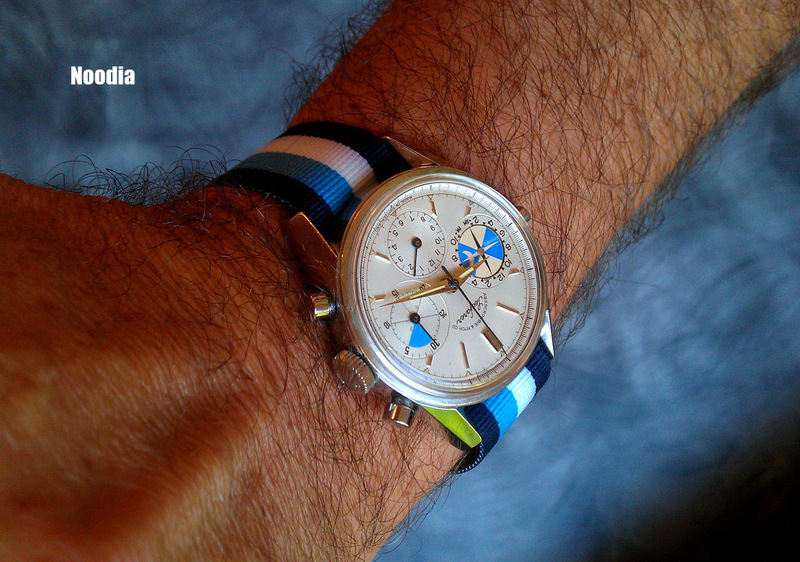 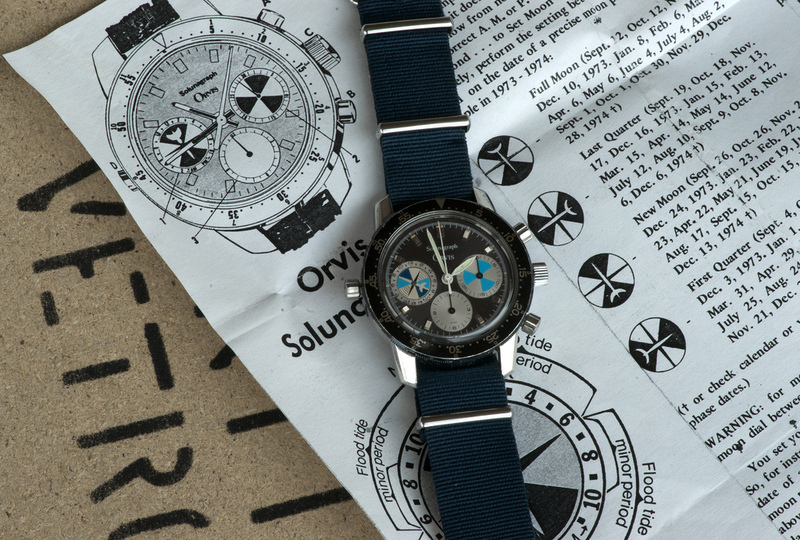 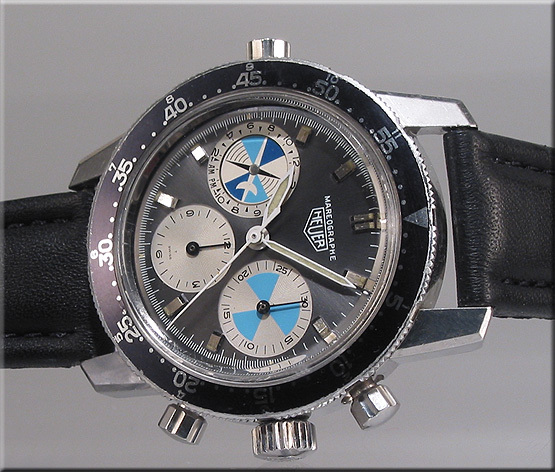 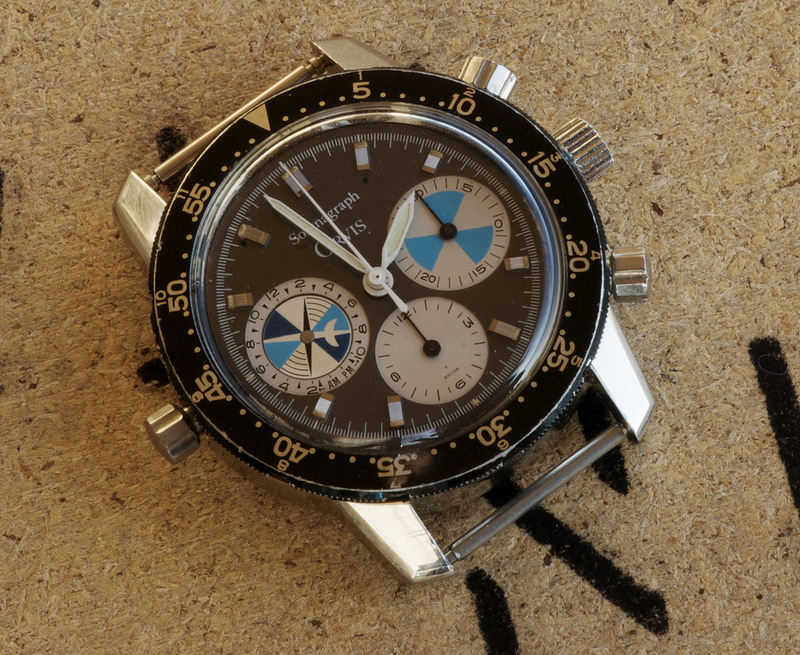 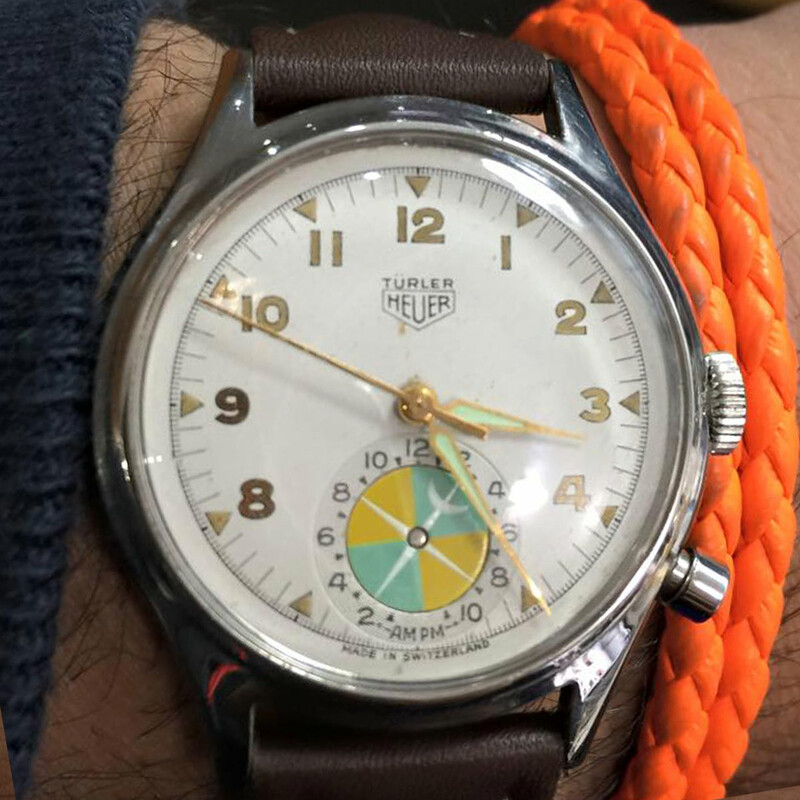 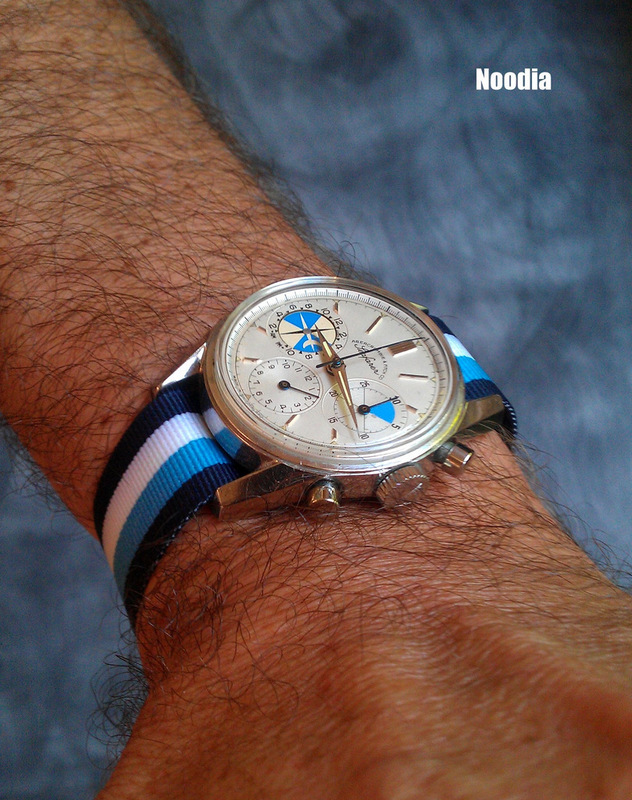 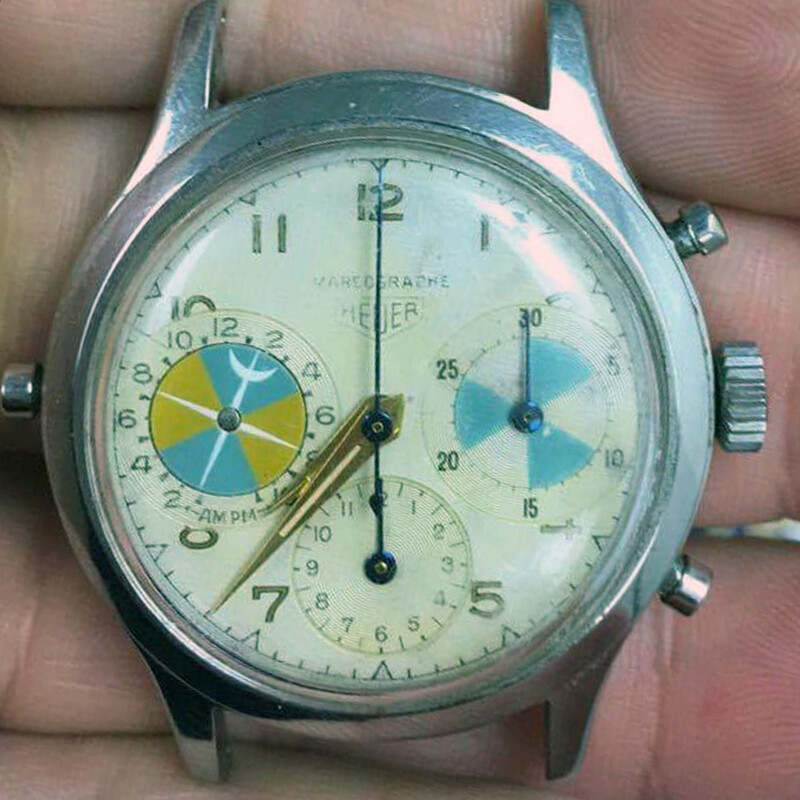 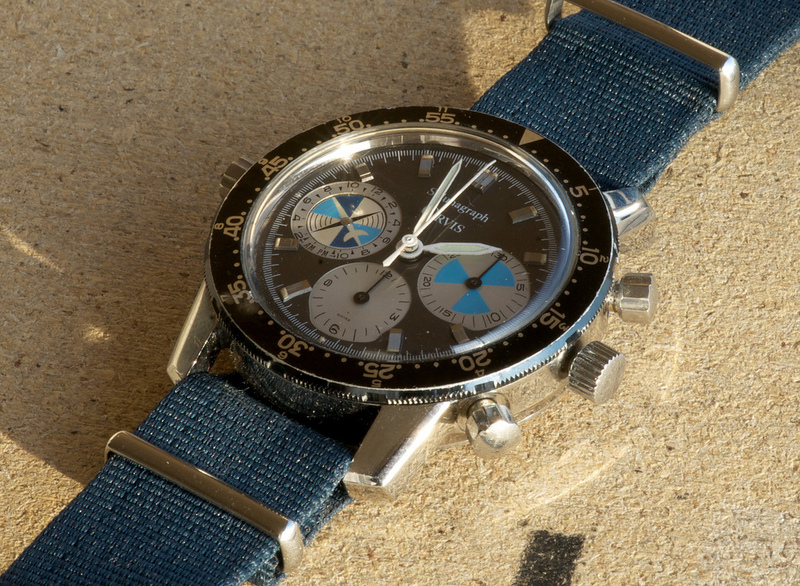 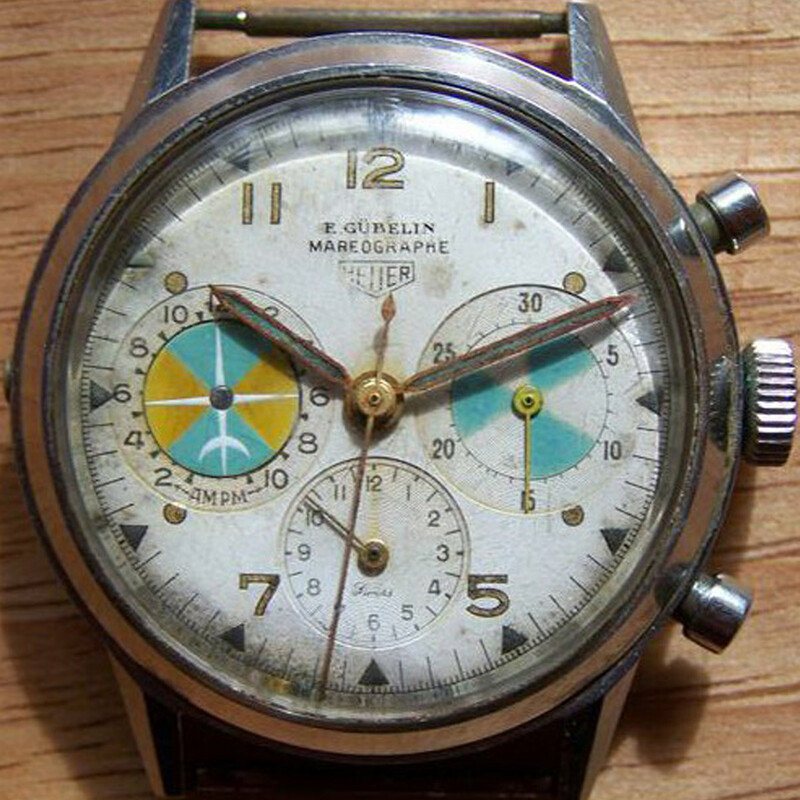 #seen till now: 5 Heuer Solunar "Türler"
The tide showing subdial got as addition on the right the blue or green color segments for the use at the Regatta start. 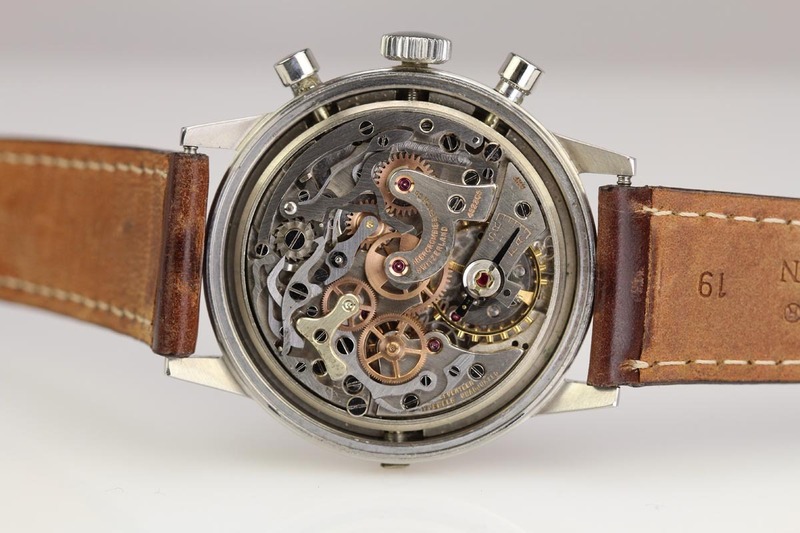 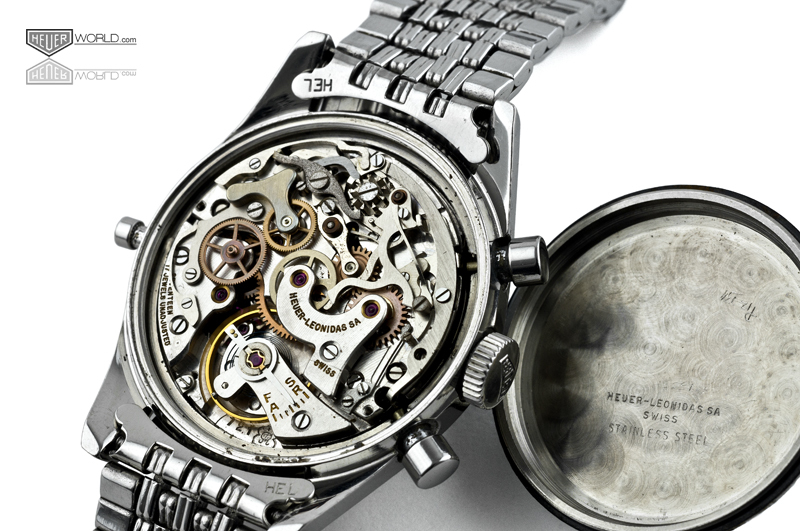 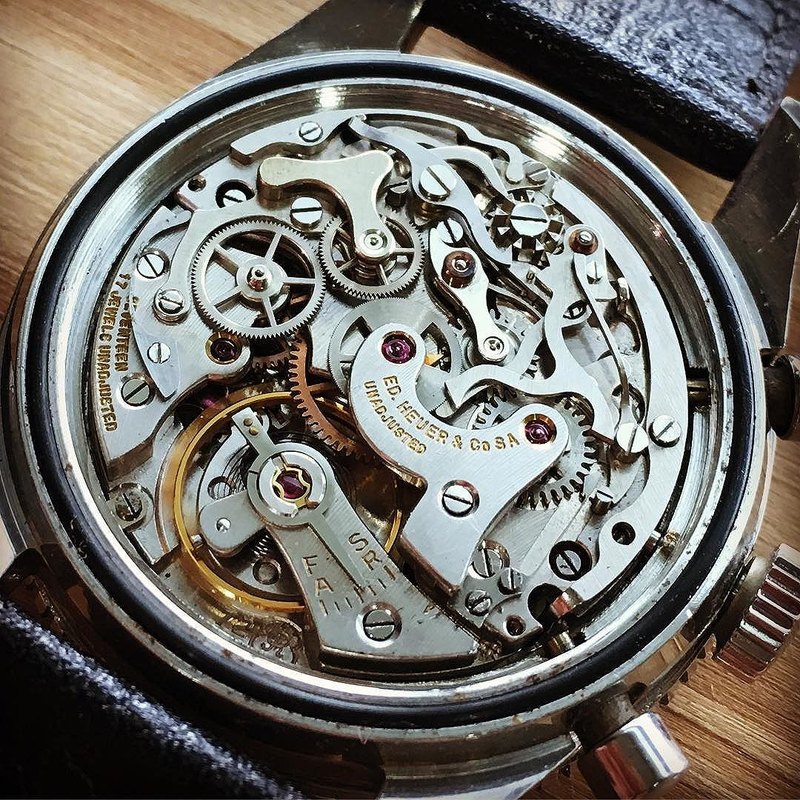 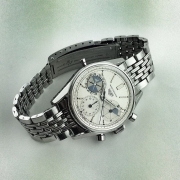 These are some of the most beautiful watches ever made. 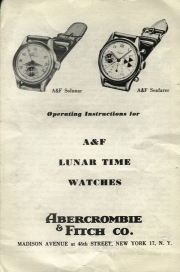 The introduction starts in the early 1950s. 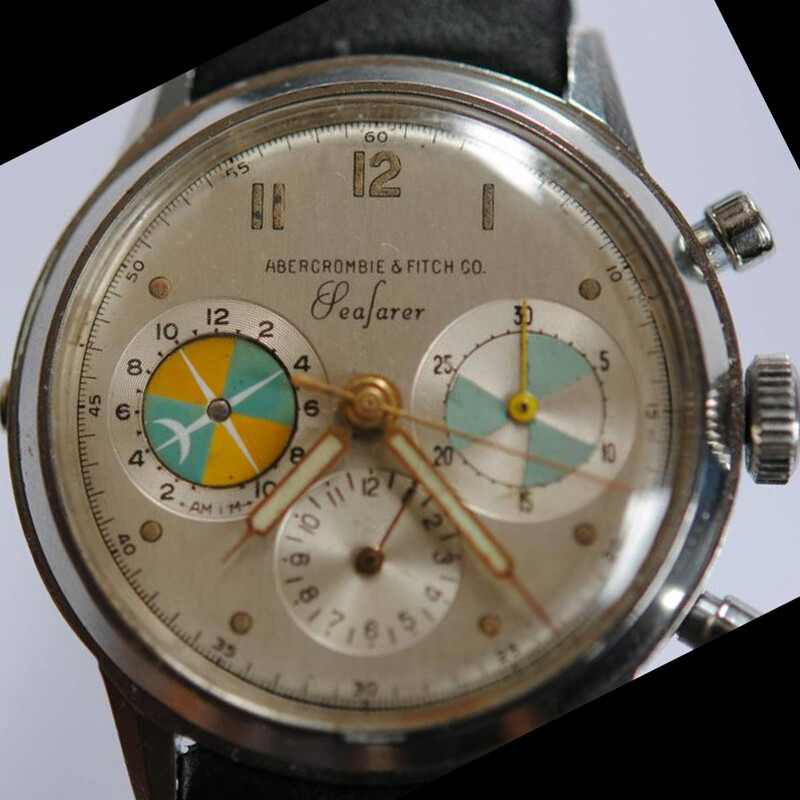 Seafarer is the name for the Mareographe in the U.S., distributed from Abercrombie & Fitch. 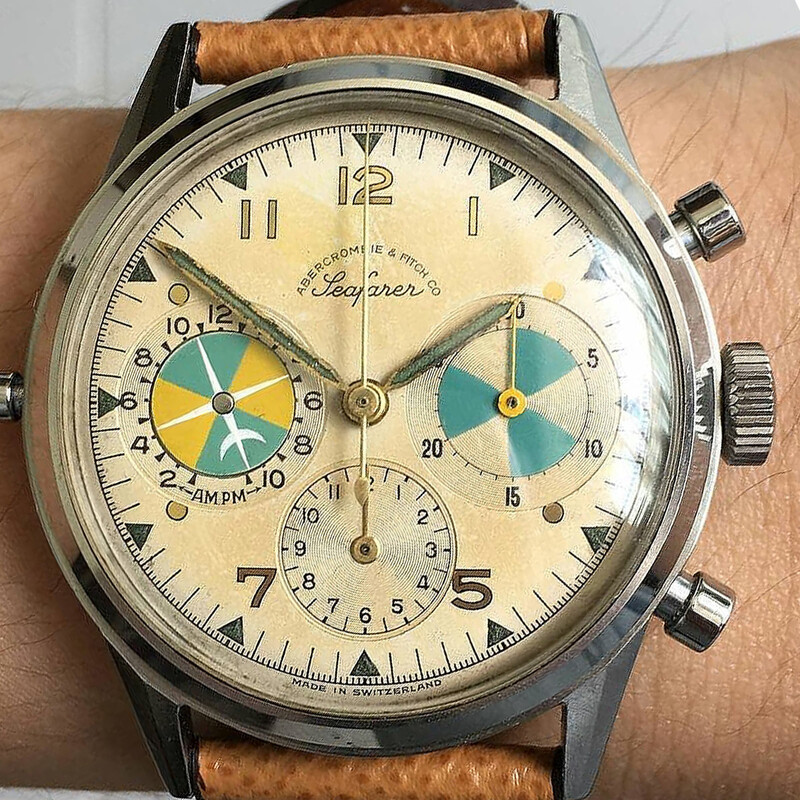 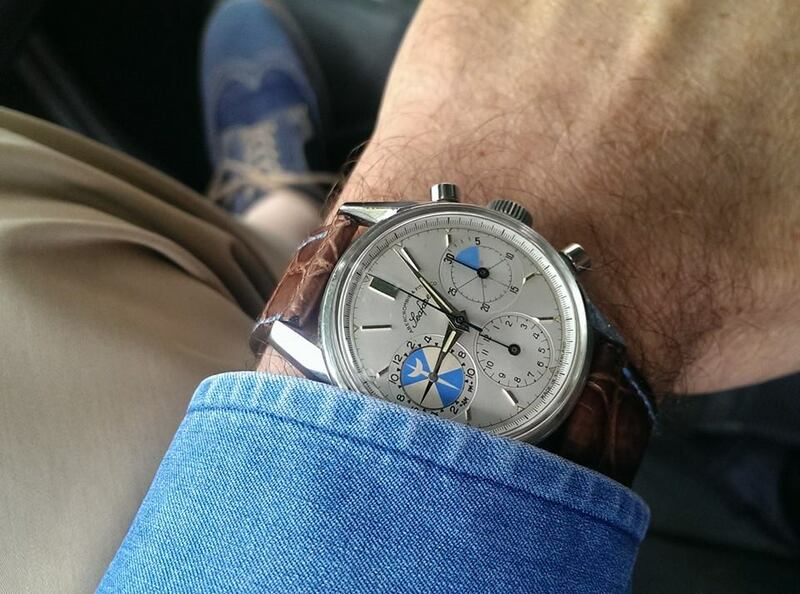 The Mareographe and Seafarer started in the 1940s/50s Chronograph cases (reference 2443 / 2444), was built with Heuer Carrera cases (2447) and finally at the end of the 60´s in the Autavia compressor (2446c) case with snap caseback in very nice 2 executions. 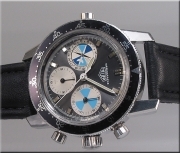 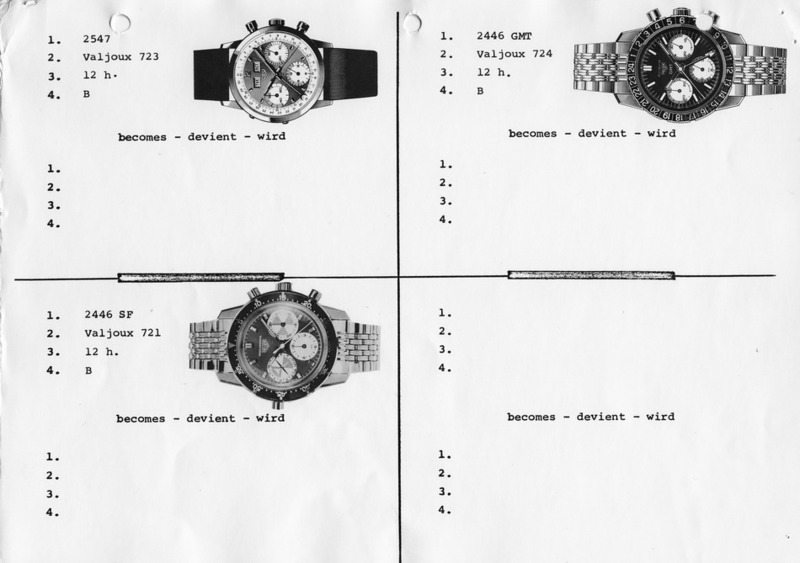 Only these Autavia compressor case executions were also distributed as Orvis Solunagraph (Orvis as mail order company for fishing equipment, founded in Vermont, USA in 1856). 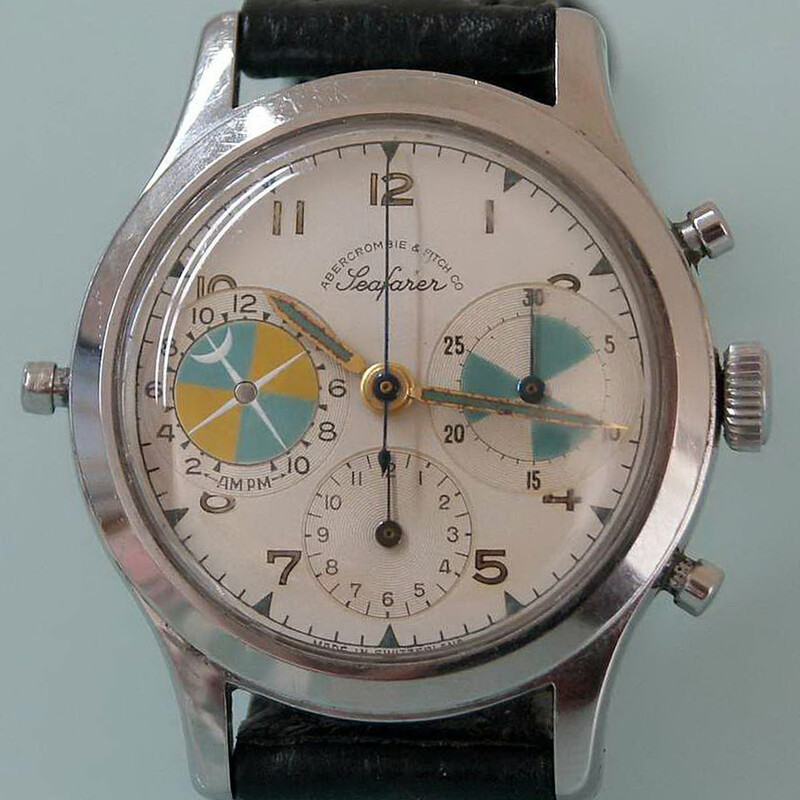 Inside the Mareographes and Seafarer works a Valjoux 71 in the early ones and later the modified Valjoux 72. 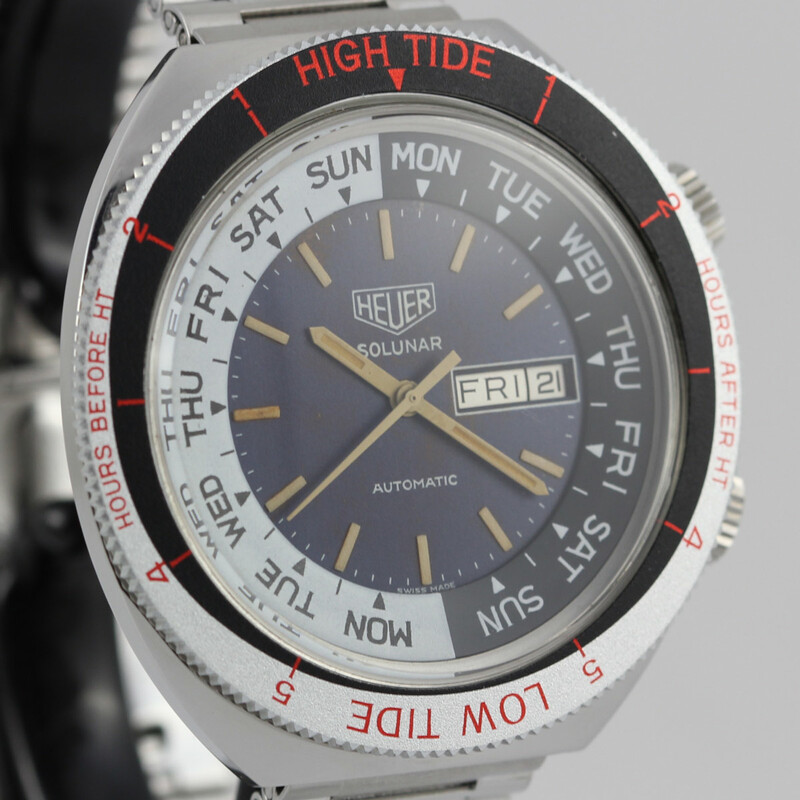 - very untypical typo, register numbers direction etc..
To know when the tide is coming and going is an essential information at some seas like in the northsea and on the atlantic. 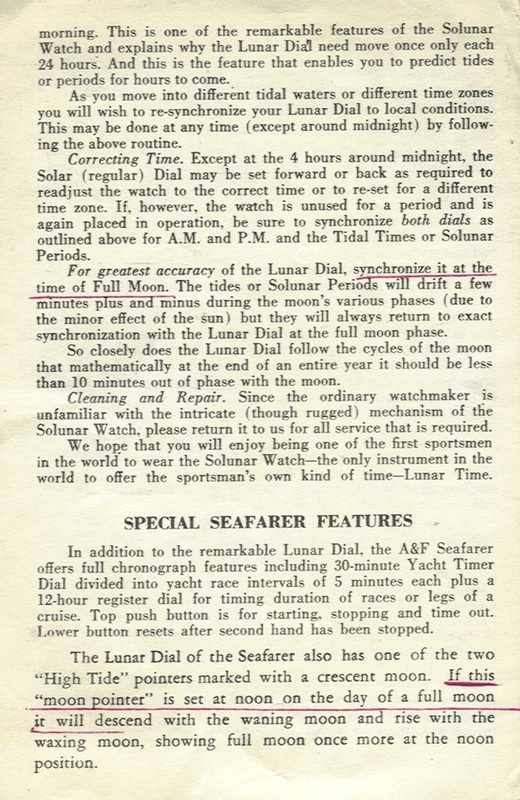 The signs with the moon describes the moonphases: Full Moon / Last Quarter / New Moon and 1st. 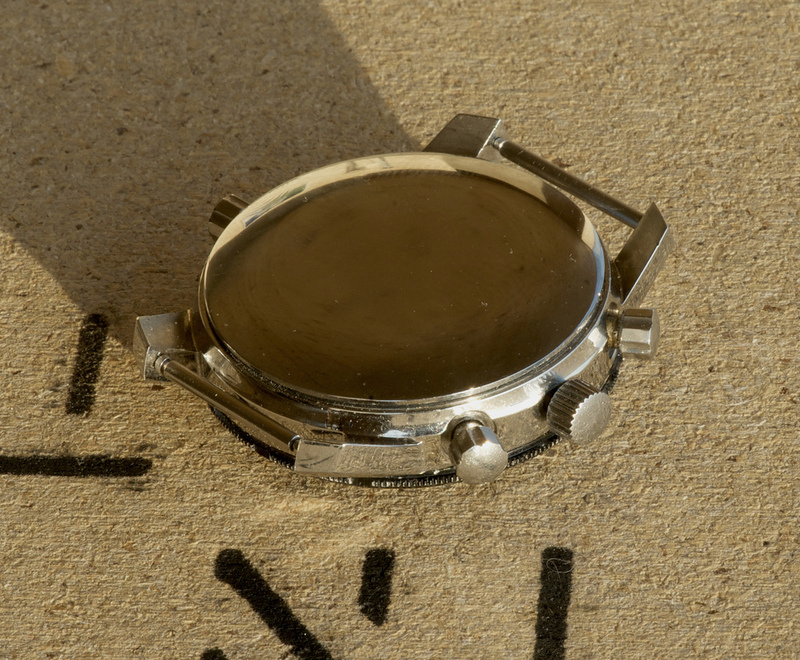 Quarter. 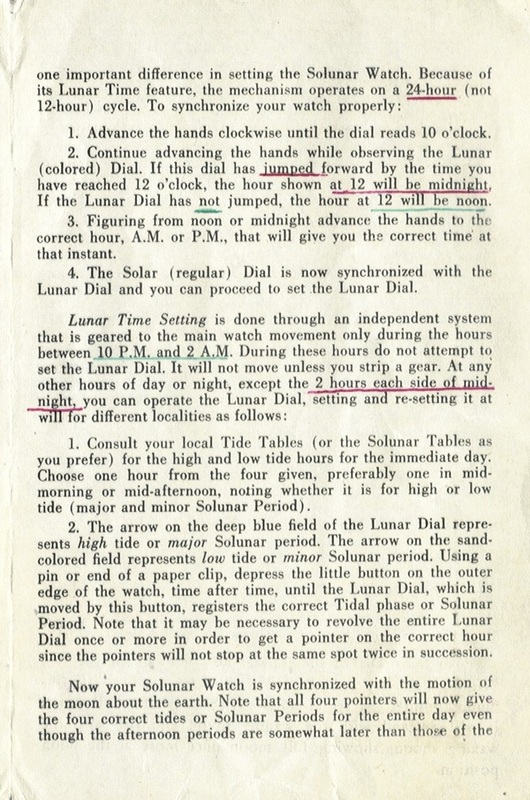 Depending from the local tide table you have to set up the Lunar dial and the tide phase with max. 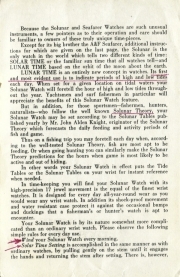 Ebb and Flood are readable with the yellow and blue (green) fields. 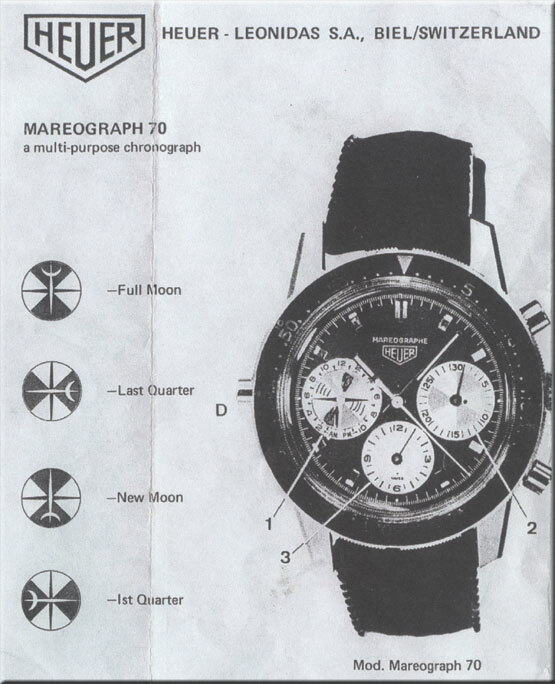 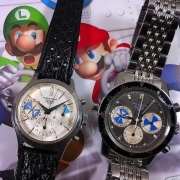 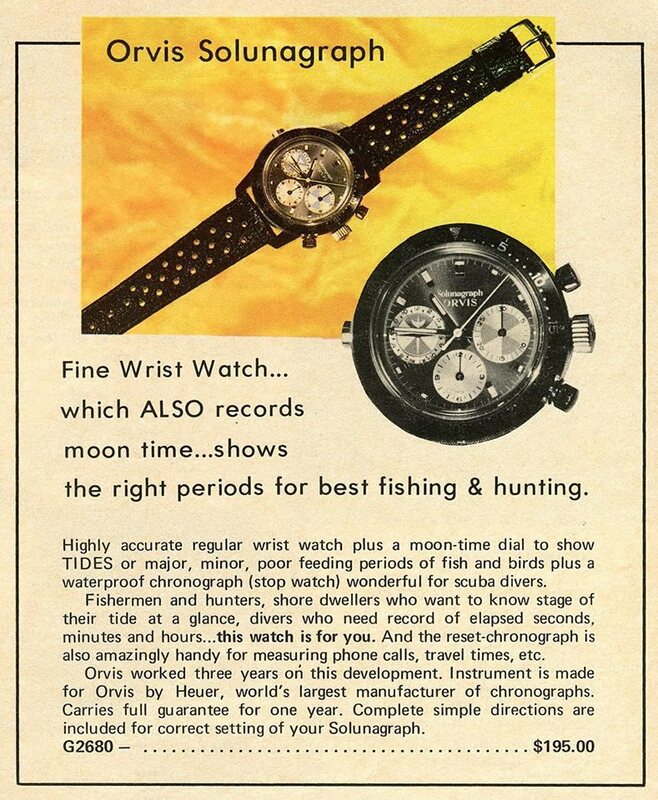 Here you can find some catalogs and ads from the Heuer Tide watches: Heuer Mareographe, Abercrombie & Fitch Seafarer and Orvis Solunagraph. 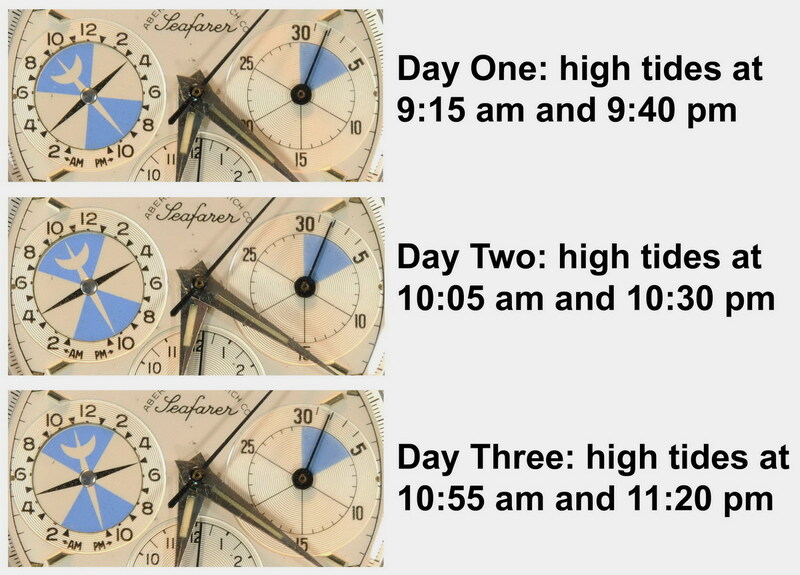 We would love to make a nice gallery of the tide watches, so if you got some please send a pic here. 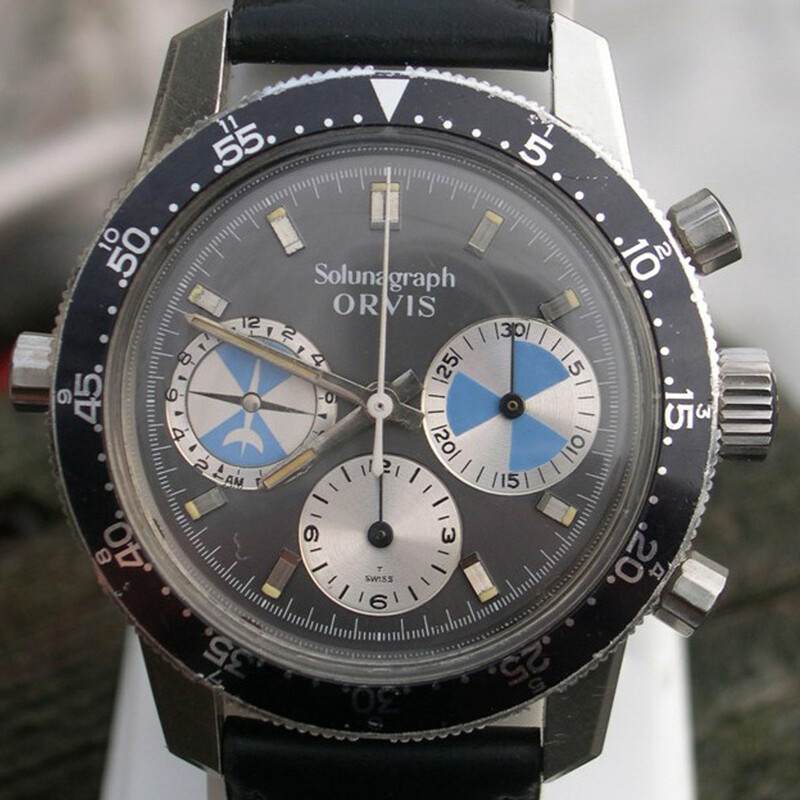 Jeff Stein – the Mastermind of onthedash.com did some very comprehensive posts about the Solunar and Mareographe/Seafarer, definitely a must read! 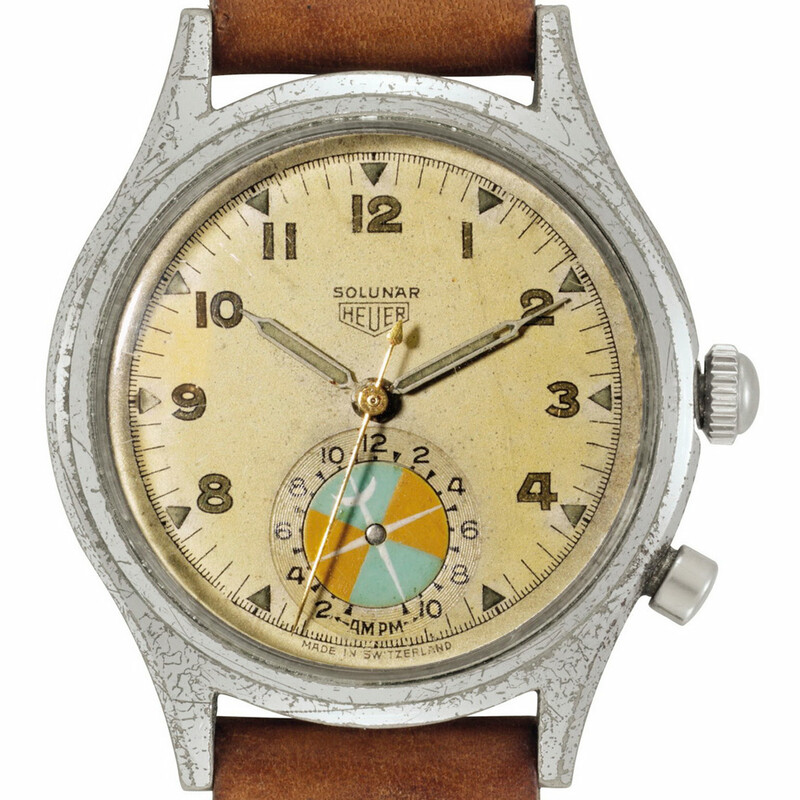 – Details about the Solunar you can find here at onthedash.com. 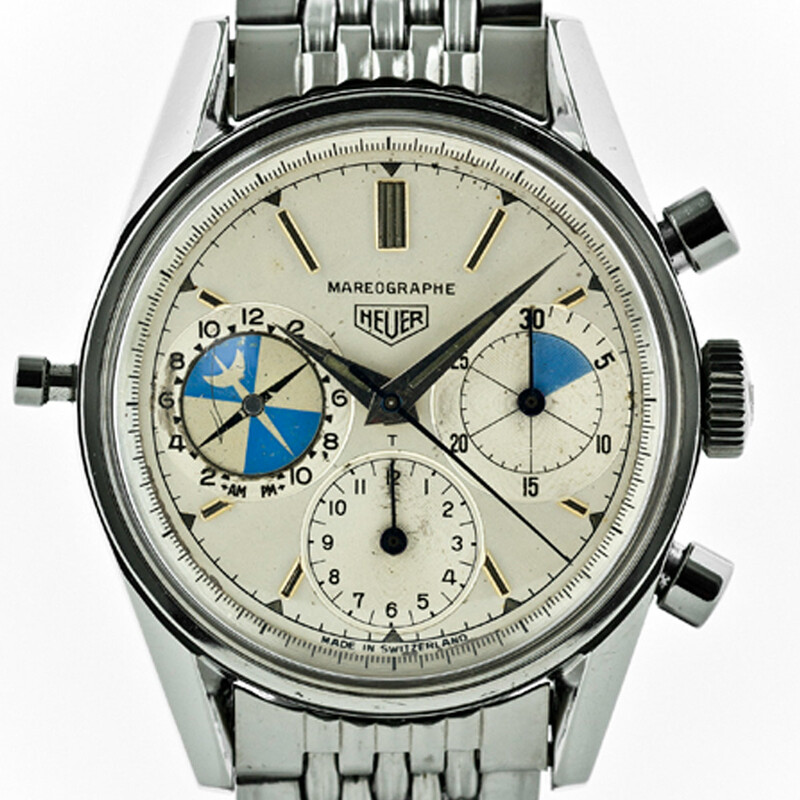 – Jeff posted an outstanding contribution in 2014 with all the details of the about 10 different kinds of Mareographe and Seafarer. 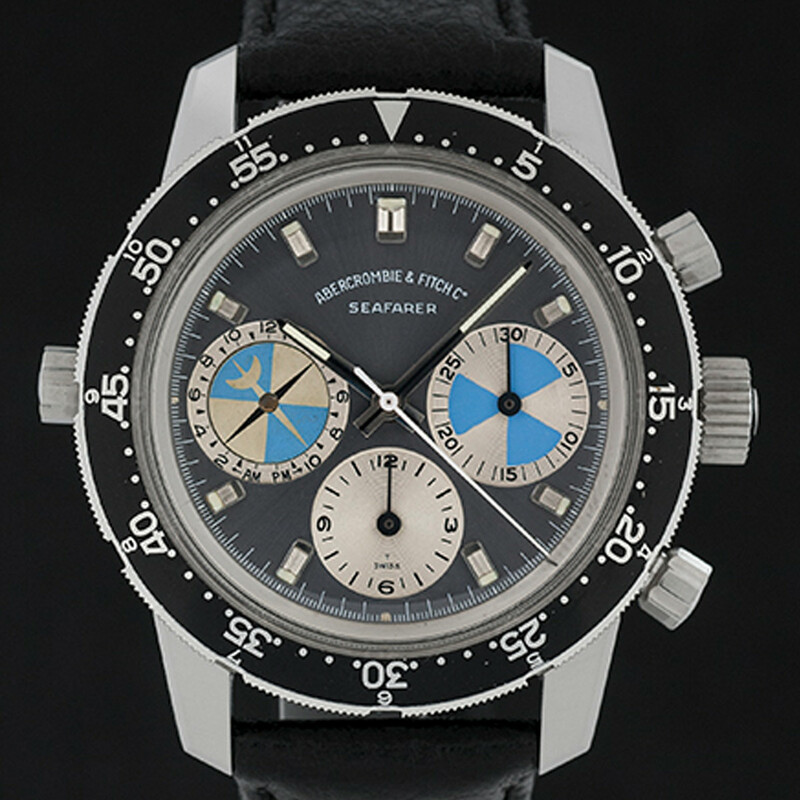 – He also did a great comparision of Seafarers here at onthedash.